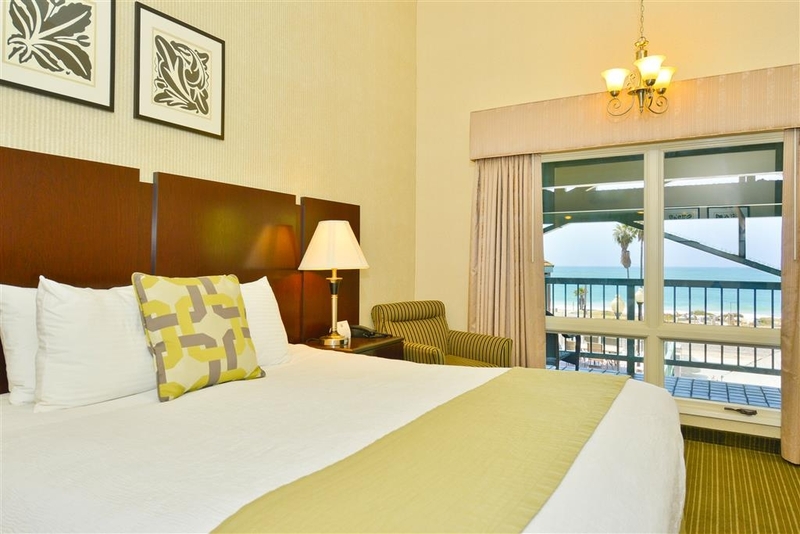 The Best Western Plus Dana Point Inn-by-the-Sea is ideally located in the center of Dana Point. Come and experience our hotel near the major tourist attractions. Best price guaranteed and exclusive deals. Get away from it all without getting too far off the grid at this luxurious Dana Point hotel that puts guests in the lap of California's beauty. Halfway between San Diego and Los Angeles, you'll find yourself close to the area's best attractions. Legoland®, Sea World® and the San Diego Zoo are just a few options to the South, while to the north is DisneyLand®, Universal Studios®, and Hollywood. Where will your vacation take you? 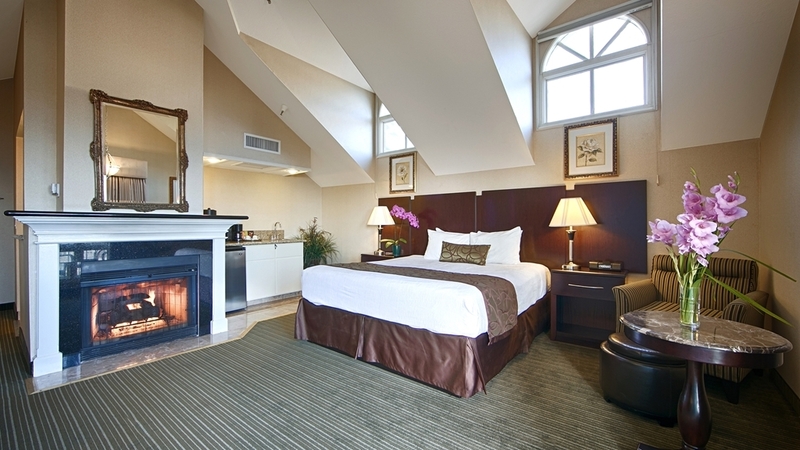 Private getaways and romantic escapes are easy at this Dana Point hotel. Doheny Beach and Dana Point Harbor provide the perfect atmosphere for an intimate getaway. This ocean view hotel is just a quick float away from Catalina Island where you'll be happy to get "lost at sea" in such decadent surroundings. Southern California beach weather is simply unbelievable. Not too hot, it's the perfect temperature for sun bathing, trying out some surfing moves, or simply strolling hand in hand with your sweetheart. Don't miss out on the local events like 4th of July fireworks off the Pacific Ocean or the Doheny Blues Festival. The beach and weather at this beautiful, newly renovated, all inclusive Dana Point hotel is just one of the reasons guests keep returning. Water recreation opportunities abound, including stand-up paddling, kayaking, jet skiing, sailing, fishing, and whale and dolphin watching. However, many guests return just for the amenities and great service. If you're here on business, welcome home. Many employees from Camp Pendleton, San Onofre Nuclear Power Plant and other companies regularly make this their second home. Breakfast? It's on us. Sizzling hot eggs and waffles, pastries, fruits, cereal, yogurt and 100% Arabica coffee are all on the menu. 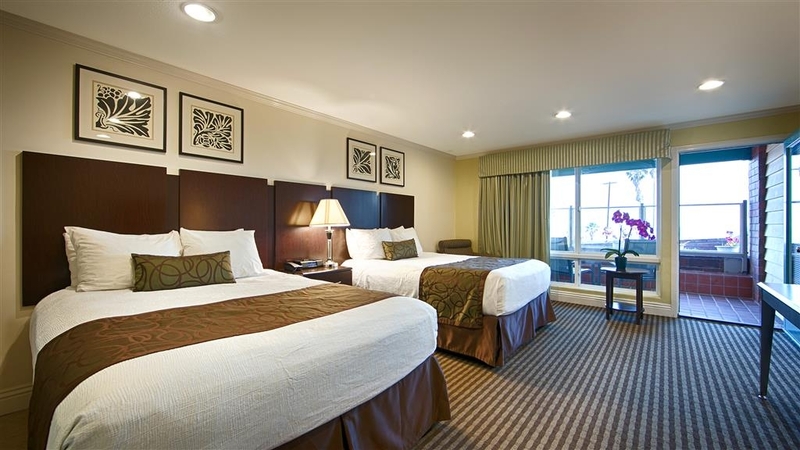 Book a comfortable stay at Best Western Plus Dana Point Inn by the Sea for an unforgettably wonderful experience! Remodel underway for small section of hotel rooms. May experience noise 8 a. m. -6 p. m. Please excuse our mess as we make improvements. Young lady was very nice to us and we enjoyed nice view. 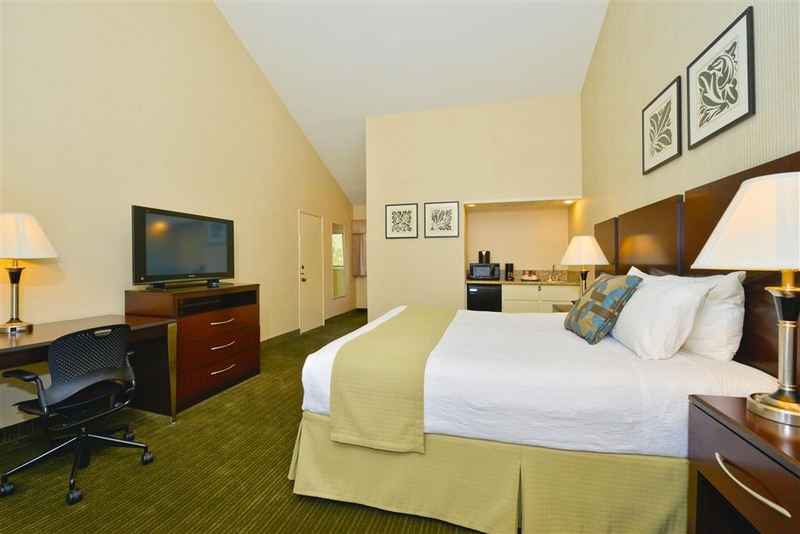 Walking distance to ocean and room was remodeled. A lot of restaurants close distance.. Will come back next year again and we hope to get room with whirlpool. Dear Harold, thank you for the great review! We're so happy you loved our place. This is a pretty nice hotel. We started one night and had no complaints. The beds were comfy, the hotel clean. They seem to be in the midst of remodeling, our room still smelled faintly of fresh paint but it wasn't disturbing at all. Staff was pleasant, the breakfast spread was pretty broad, my daughter was thrilled to see waffles. Access to the beach is a short walk down to a crosswalk but then there is a very large train overpass to climb up and down to access the beach by foot. Plenty of food in easy walking distance for dinner. Would definitely stay again. The location was great—although I did mix up this Best Western with the other one in Dana Point!.The young woman with the accent (Russian—I think) was absolutely wonderful—not only did she help me find some of the light switches that did not see—later that night—she went out of her way to help me try to fix my broken eyeglasses!!! Even though it was advertised as a courtyard/garden view—it had a partial ocean view! Even though the hotel doesn't have a restaurant—there are plenty of options close by just up the PCH—if you are not in the mood to eat out try the Ralph's grocery store—they have a nice deli. There was some renovations going on—but I did not experience any problems or interruptions in sleep. Also—if you are lucky (and the weather cooperates—you might catch a nice California sunset from your room or the open area in front on the second floor!!! Thank you so much for your review. We really appreciate you taking the time out to share your experience with us. We hope to see you again! I went during the off season so there were no crowds. There is construction going on at the hotel so don't expect to sleep in past 8am. I had problems with my heating unit and they didn't have a maintenance guy to come into fix it so they did offer me a heater. Talking to everyone I met at the hotel, it seems like everyone was experiencing this issue. Great location. The beach is across the street. If you go off season, make sure to get yourself food before 9pm, because most restaurants close at 10pm. And there is no restaurant on the premise. Satisfied with our stay, room was clean, beautiful gardens are there. Breakfast was very delicious and a lot of options for continental breakfast. Ocean located next to hotel. Young European girl is very friendly and morning person was friendly with us also. Location is great, the ocean is right across from hotel. 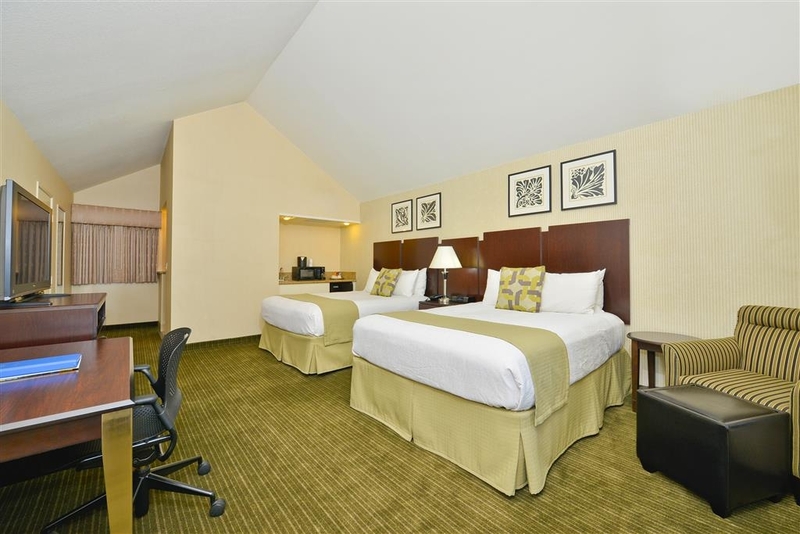 Rooms are ok, pictures on the website make them look fancier than they really are. Breakfast was disappointing; the hot food was not well prepared. There were limited choices for food. Dining area is very small. Beautiful location, room had an ocean view. Breakfast included hard-boiled eggs which is very hard to see in hotels nowadays, healthy option. Young lady welcomed person and has great customer service, helped us with our flight ticket and recommended nice places for visit. Room was clean and large. Thank you staff for nice [email protected]! I decided to try this hotel during the winter months to take advantage of the low room rates. If I liked it I would book it again for the summer. 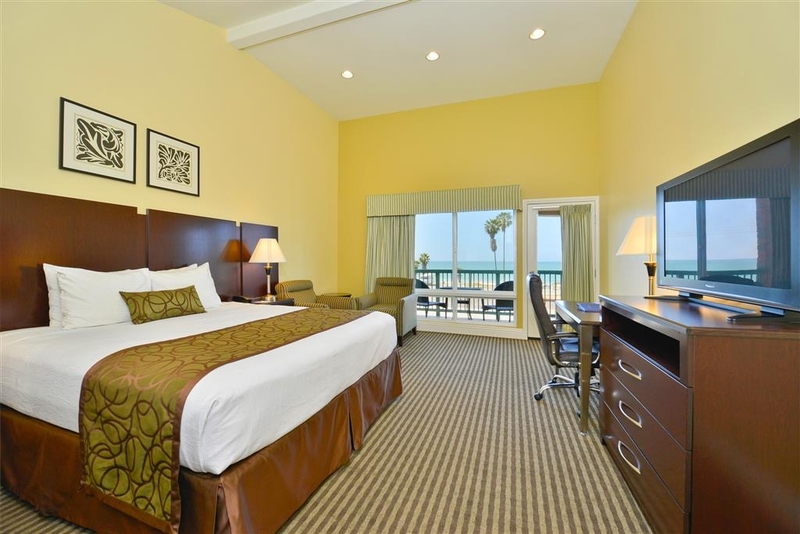 The hotel is in a great location in Capistrano Beach. The beach is very clean and scenic in this area. Check in was smooth and efficient and the attendant was very friendly. When I arrived at my room I noticed that it had a musty smell. I also noticed how dated it was. I don't think any improvements or upgrades have been made here since it opened. My bed was fairly comfortable and there was a fairly good sized patio with ocean views. Those were the only two redeeming amenities. In the morning I went for the free breakfast and it was awful. The breakfast consisted of tasteless sausage and eggs. I had yogurt that seemed to be on the verge of going bad. The coffee creamers were also expired and my coffee had chunks floating in it from the spoiled creamer. So this hotel is in a nice setting. It has great views of the ocean. But given the fact that there are a number of other hotels in this area, I will not stay here again. My wife and stayed here this past week and were very pleased with the cleanliness and the hands on management we witnessed. The manager was very accommodating to our needs as well as pleasant. We heard and seen her with other customers and she was very professional to everyone. We've stayed here in the past and the other lady at the front desk (she had an accent) wasn't very knowledgeable and acted as though we inconvenienced her and was grumpy when we arrived and we didn't see her much after that. Glad they upped their front desk manager! As long as the new one is there we'll be back. "Amazing view, great room, awesome price!" Check in was quick, friendly and receptionist gave us info and guest/staff recommendations on surrounding restaurants with discounts! Walking into our room I was amazed with our view of the ocean, simply beautiful! Room was immaculate and smelled so fresh and clean, very inviting! We had a spa bath which was also amazing with the jets it was so relaxing! Parking was a breeze, didn't have to pay extra. Beautiful location, beautiful property, beautiful view! My husband and l plan on staying here again. This trip was for our 21st wedding anniversary and it was great! We stayed few days and every morning around 9 am when we took breakfast, one woman came every day and ate at breakfast area. Even management can not do this when travelers are there. She walked thousands times around on stairs which made us crazy. Was not proffesional when we talked to her. In November when we stayed everything was perfect. From that time new person changed all friendly atmosphere as it was before. Last time we had very pleasant stay with Cheyenne and Alona. Very nice people and proffesional. Alona even cleaned property outside and helped with laundry. Cheyenne was very nice with us also and we forgot name of man who work there also, he worked outside a lot. Steven is a very friendly and helpful guy. We hope our next stay will be as before. Dear Valued Guest, Thank you for taking the time to write a review. I do apologize if eating breakfast and walking around the property made you crazy. What better way to evaluate the quality of our breakfast and notice the things that need to be done to make your stay better? I am happy to hear you know the names of all my staff, but unfortunately I don't remember being unprofessional to any of my guests. Might you call me at the hotel so we could discuss this further? Great experience, staff was very accommodating! Checking in was fast! Breakfast was pleasant and just what was needed to get the day started. The room was nice and clean with no odor(which is always a plus)! Lovely ocean view, and the exterior areas are pretty. Fountains, courtyards and lush foliage. We had a nice balcony overlooking the surf. However, these pluses do not outweigh the minuses. There are, after all, other beach hotels within this price range. I know. I saw them. 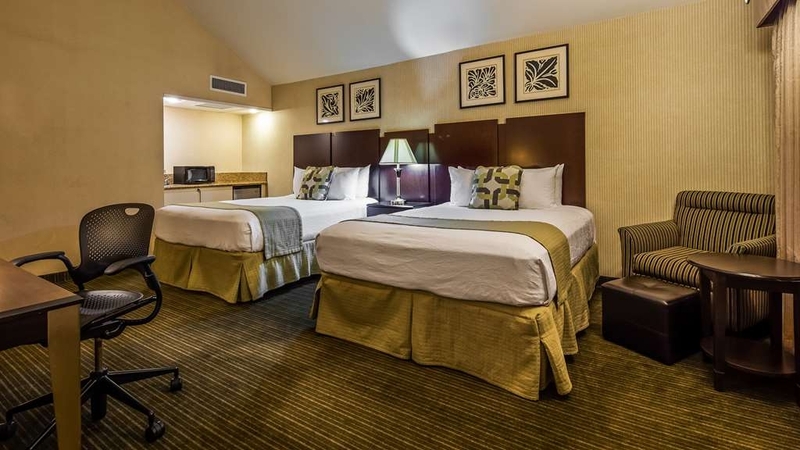 When one books a hotel stay, the price is presumed to include certain basic amenities that we all require, such as cleanliness, room temperature controls that work and drains that drain. We didn't get all that. The heater didn't work, and only a thin blanket covered the bed. My bathrobe and coat became makeshift blankets, inadequate at best. The stopper in the bathroom sink was broken so the water would not drain, so we had to wedge a plastic stirring stick into the hole to keep it open. The room was dingy. The pillows were very hard and thick. The clock radio's face blazed the wrong time, but neither of us could figure out how to set it. We may not be the brightest people in the world, but we have never been stumped by a clock radio. Until now. Although not a major issue, it was surprising in this era of pervasive electronic device addiction to find that there were no charging ports (Okay. To be fair, there was a 30-pin charging dock in the clock radio, so if we had an iPad 2 or an iPhone 3G we would have nothing to complain about.) There is no heater in the bathroom. There was no courtesy plastic laundry bag in the closet. The bathroom is narrow. The toilet is centered between the wall and bathtub in a space 31.5” wide from wall to tub with door closed; with the door open the space is only 26.75”. The TP holder is mounted on the wall next to the toilet, not higher up, not forward. From core to seat the space is a mere 4.5”. I suppose that the reason for affixing this unit under your elbow was that Best Western hospitality geniuses thoughtfully considered your every need and kindly provided a soft armrest. We informed the management about the heater, pillows and bathroom drain plug the next morning. I was informed that these pillows are signature Best Western pillows, two of each kind, and no soft pillows were available. I said, “thank you,” to which the clerk replied, “no problem.” We asked our housekeeper for more blankets, which we received. Nothing was done about the clock, which was happily continuing to display the wrong time all day and night. The heater was not repaired, nor was the drain, which still had its little red stick in place when we returned the next evening. Because of the problems, I suggested upon check-out that a price adjustment might be in order. This made the “no problem” clerk bristle and become confrontational. She refused to look at the pictures, would not listen to my answering that we had, in fact, reported these problems, and became so hostile that I simply said a curt “thank you” and left. Dana Point is a true beauty. Don't let this hotel detract from your perfect getaway. "Smelly run down not worth it"
This place is run down, power points are not secured properly, the tap controlling the shower was broken, the carpets smell upon check in we told reception of the smell and they said "no can't be" they made no attempt to come and smell for themselves but instead said "sorry we don't have any other rooms" and handed us a can of air freshener . "Massive disappointment, for the second time..."
Sadly we won't be back to this hotel. We stayed here numerous times in the past with the previous owner. Never had a problem. Always reserved the same room for us we wanted, as we came from 2000 miles away and it was important to us. The last two times we've stayed here they completely messed up our room reservations, didn't know what the heck they were doing, to the point of almost ruining two very special trips for us. I'll spare the details. Doesn't feel as clean either. All this to say, what used to be our go to place has sadly changed and we won't be back. It's really too bad. BW Plus? Not sure what the plus is. No rewards recognition, no free water, nothing. The location and view of the ocean is great! The girl at check-in was very cold and didn't care that you were there. It only has 30 rooms. The room was very nice, the Jacuzzi was HUGE! The exterior of the hoel is in need of repair, boards about to fall off from rot, pain peeling everywhere. The staff had no idea where you can hget food delivery from, we found a tasty chinese place that deliered (The Little Kitchen Asain Cafe). There is also a nice Bar/cafe right down the street. Dear Guest, Thank you for completing the survey regarding your recent stay at our property. Your business is very important to us and we value your feedback. By telling us what you liked about your stay and how we can improve, you are helping us deliver a superior experience for you and other guests in the future. We hope you will come back and see us again soon. Thank you again for taking the time to complete the survey. We appreciate your loyalty to our brand. 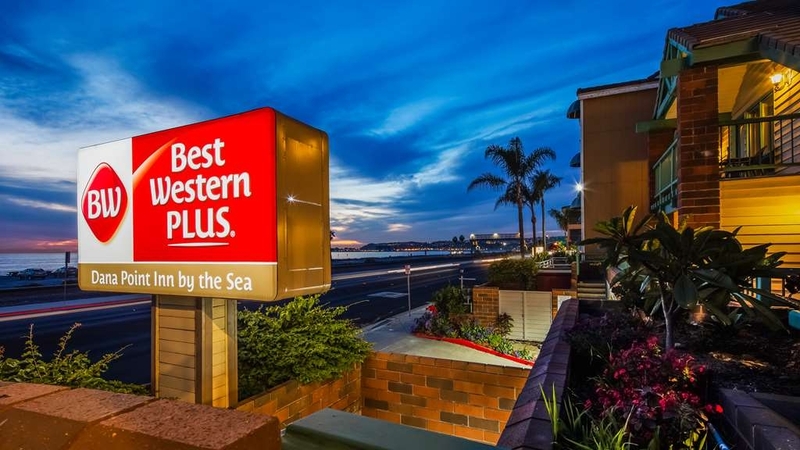 "Best Weatern Plus—A Nice affordable beachfront property on Pacific Coast Highway in Dana Point , California"
A Best Western Plus Hotel across the highway from the beach. Nice friendly knowledgeable staff that is very welcoming Standard rooms, ample size, complimentary breakfast waffles, fresh juices and coffee Ask for ocean view to enjoy the lovely sunsets from the balcony. Adjacent restaurants, ocean side, with a 10 minute drive to the Dana Point Harbor and Marina. An affordable option to many of the higher end hotels in the area. Beach access across highway and tracks. I felt this motel was not up to the usual standards of a Best Western "Plus" Motel. No extras for rewards member. I have stayed in many BW Motels and usually love them! Location was great and it was very clean. This hotel is beautiful, clean & comfortable. The staff were very friendly. We stopped in without a reservation while meandering up the Pacific Coast Highway. Found a lower price online & they matched the lower price. Signed up for Best Western rewards after checking in & they applied the rewards points upon checkout. Double points promotion through November 17. We'll likely be looking for Best Western hotels each night as we continue our week long trip. I'm 55 years old and have stayed in hundreds of hotels in my lifetime. After checking out, while eating lunch I received a text message saying I had been changed $15 by this best western. I called to ask what the charge was for, they stated the maid said 2 wash clothes were stained. The 2 stained wash clothes were used to wipe down 2 outside chair on their property that were completely filthy. They refused to refund my $15. I have never been charged by a hotel for damage or a dirty wash cloth. The Jacuzzi was closed and broken no notification was given prior to or during check in. The breakfast muffins were hard as stone and the sausage/eggs were disgusting. The worst part was the beaches are covered with river rocks to try and stop erosion. Can't even walk on the beach without shoes on, HORRIBLE. There are plenty of hotels in the area I wish I would have picked a different one. As an experienced traveler I strongly advise avoiding this penny pinching and false charging hotel. We just needed a few days away from the rat race. And I didn't really want to go to any kind of a resort area, so I found this nice place on the Best Western website and Dana Point. We never had been however it was awesome. "Charming Property with Friendly Staff"
"Great location and lovely neat place"
Stayed here for the weekend for quick trip. Jason at checkin was wonderful and I got a overview room. The place is clean and location is fantastic. They have maintained cute small gardens inside and have multiple small tables and chairs to just sit and enjoy in evening or eat free breakfast in morning. Bathrooms in rooms are small but it's a prime area so it's expected. Enjoyed my stay..
Great spot on PCH, we would definitely stay here again. The room was exactly as as advertised and also had a view of the ocean, which was a nice surprise. If you want a private deck though be sure to specifically ask for that. The Hotel itself has two lovely decks on the second and third floor. Avoid this place. Situated between the highway and rail tracks. Access to the beach is terrible. The sea is barely visible but the highway is in plain view. A/C didn't work. They will give you rebates if you ask, though. "Clean place and nice atmosphere"
Great views, pleasant surroundings, large clean room.. Atmosphere was so good. The ladies working the counter were very sweet. The breakfast was good with many options to choose from. The trolley is a great way to get around town and to the harbor. Trolley drivers are very pleasant and knowledgeable..
Have stayed before with nice young lady manager- very pleasant woman with nice smile. Room has a good size, clean and good job for housekeepers. We loved our stay. Breakfast was delicious. Beds were wonderful. Location was excellent with ocean view room. The staff at hotel was amazing. I will be back. "Clean room , good customer service"
Our family very happy were with our stay. 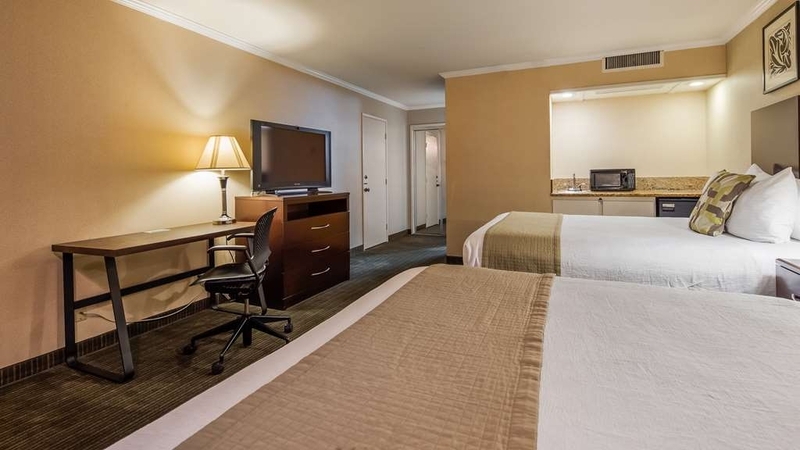 Room was clean, breakfast is delicious.Express check out was very convenient.Manager was friendly and helpful person who told us everything about area and helped us on Saturday during breakfast. Air conditioning cooled our room when we went to beach.Good customer service thank you guys Will definitely come back. We stayed for 3 nights and our room had a terrible air conditioning system. In fact, we needed a separate fan to just try to keep the room cool. The breakfast was not very fresh and the coffee tasted old. The room was cleaned properly but the entire building was old and dated. I was very disappointed in the hotel. this property is directly on hwy 1. the plus side is this is a cute property, well maintained, very friendly staff, very clean room, good quality breakfast. the minus was no street parking, parking was under building and the parking spaces were very small, it was hard to manuever our large suv in and out. our room had a very nice ocean view, but it is on the hwy, not on the ocean. the hwy noise was very loud and seemed to be amplified by our balcony ceiling. we could only hear the surf late at night after all the traffic had died down. the room was quiet if the door and window to the patio was closed. the hwy is about 50 feet away. also, the train runs along the hwy, so you hear many trains going by. this only applies to the ocean view rooms, the rooms in the back of the building may be quieter, but no view. also, the spa was out of order as noted on their website. 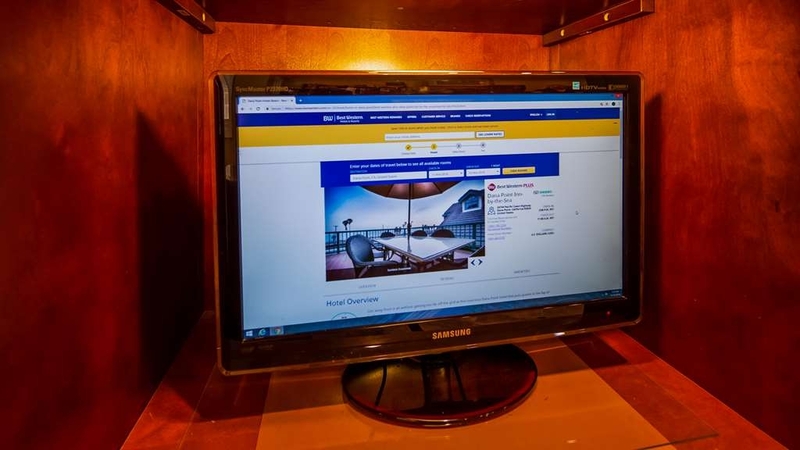 "Read the Best Western Main Page for Updated/Accurate Info"
It is not beach front. There is not a kitchen in every room. The air conditioning is broken - I recorded the rattling sound. The hot tub is broken & empty. There is no pool. It is in need of major repair. The chain lock is broken. The breakfast room seats ten - any more and you can not walk around the three small tables. Only apples served - no other fruit. It's quite a walk to beach access. You can not cross the street and walk over the train tracks. Beach parking is metered. Dear Valued Guest, Thank you for leaving the review regarding your recent stay at our property. On behalf of our entire team, I would like to apologize for not exceeding your expectations. Your satisfaction is important to us and we will be using the feedback you gave us to implement improvements to ensure we offer a better experience for guests in the future. I hope that you will consider staying with us again so that we can have another chance to provide you with a superior experience. This hotel is a lovely, quaint hotel with beautiful gardens. 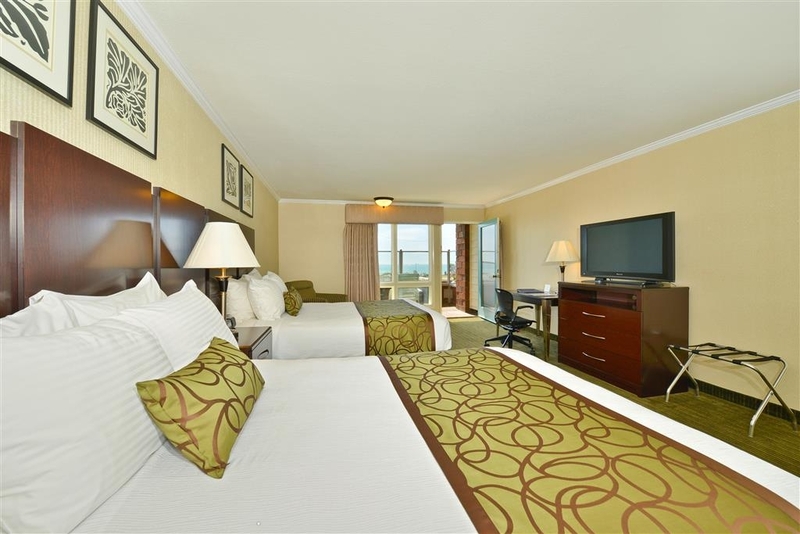 It's closer to the beach access than any other hotel on the strip, and the staff is very attentive and friendly. The windows even open so you can hear the surf all night and enjoy the ocean breeze--I never had to use the air conditioner! My daughter and I stayed here. Ripped off for three nights stay, not given a receipt. REFUSED a receipt.??? Moved 4 times for a five night stay. Water leak in bathroom, so got moved again. Hot tub out of order. Management basically shrugged off overcharging us for over $600. Don't stay here. Rooms musty, "beach front" is untrue. A waffle can not make up for this. Nice room, nice people. Our room was 2 beds and ocean view. Comfortable room. At evening time me and my husband went to the lobby and talked almost till late night to nice girl from Ukraine but we forgot her name sorry. She even made tea for us and that atmosphere was like at home. Morning shift girl was very nice and helpful. We will miss this 3 days at that small Inn. Next door hotel was very loud but girl from front desk called them. "Happy stay and nice atmosphere"
Dear Guest, Thank you for choosing our hotel, and for taking the time to write a review! We are so glad to hear that you enjoyed your accommodations. Our hotel aims to provide a truly unique experience, and we are thrilled that we were able to exceed your expectations. We look forward to welcoming you back to our hotel in the future. "Alana manager is a very nice person"
"Nice room - shabby hotel"
While the room itself was comfortable and clean, the hotel was shabby and sad to look at. The gardenscape was dirt and weeds, the ice machine (outside room 214) jumped about all day and night, and the breakfast was HORRIBLE. Take that money and go to another hotel along PCH. "Good bfast, good bed, good location "
The Breakfast was good and staff at breakfast was awesomely friendly. The bed was comfy and the room clean. Walking distance to beach/park for us. The guy at the front desk wasn't paying attention and couldn't find our reservation. We actually left and came back. Other than that problem we were happy and will return. Avoid disappointment and Avoid this motel at all cost. By no means an Inn. Hardly by the sea. Unless you consider a 4 lane busy HI-Way, active railroad tracks and a 6' high chain-link fence part of the ocean front. Any beach access is more than a mile away. We were totally disappointed in this hotel. The photos on the website looked great but our room was shabby. It seemed like the room hadn't been occupied for an extended period - it smelled musty and didn't feel clean. Although we overlooked the ocean, which was lovely, the traffic noise was so loud that we couldn't leave the doors open or sit outside on the balcony. The sound worked on the TV but there was no picture. We ended up driving home to San Diego instead of staying in Dana Point for the night. 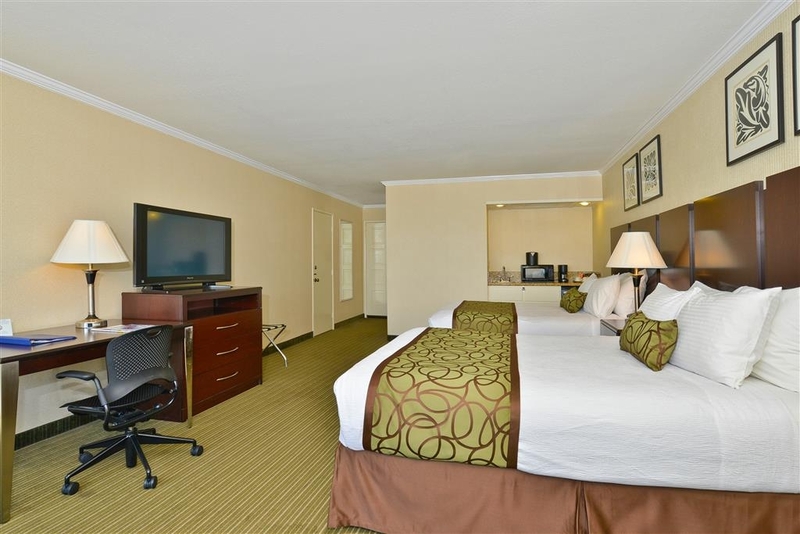 The photos on the hotel website do not accurately represent the property. The room was worn and slightly shabby. It appeared to have sat unused for an extended period of time and smelled musty. We had an oceanview room but the traffic was so loud that we couldn't leave the doors open or sit outside on the balcony. The TV sound worked but there was no picture. The hot tub/spa was out of order. We ended up leaving early and driving back home to San Diego instead of spending the night as planned. Given the general condition of this hotel and room, I felt it was incredibly overpriced. We had a problem with no sound on some tv channels. We reported the problem 4 times. We were told the cable company would have to reset the system. Four days later the problem still existed. I got the impression that neither the staff or management cared. "The Ants Go Marching One-by-One"
The room itself was decent, the included breakfast was good, though small and in a tiny room. What ruined the experience, and ultimately why I'd never, ever stay there again, was that my wife was woken in the middle of the night covered in ants! Talk about one of your worst nightmares coming true! I guess its good they weren't spiders, but still, ants all over the bed, in her hair, everywhere! They were even in our suitcases when we got home. We stayed four nights in room 112 overlooking the ocean. We stayed here because it was only 1 mile from family we were visiting. The location is very convenient to San Clemente, Dana Point and Laguna. Room was clean, comfortable and quiet. Even though there is the PCH and railroad tracks between the hotel and the beach, it is a two minute walk to get there. The noise from traffic and trains was NOT noticeable, contrary to other reviews. The insulated glass windows keep most of it out and the trains do not run continuously. In fact, they do not run at night. And besides, we like trains - they are short commuter runs that last maybe 10 seconds max. Also, the cleaning staff did an excellent job. The breakfast is mediocre, hence the 4 stars - we ate elsewhere after the first morning. Also, the desk is not manned at night, so an early check-out for a flight home was problematic. Hope the Rewards credit got applied to our bill. And we got upgraded to an oceanfront room at not extra charge. Overall, a great experience! The hotel was nice, calm, and a has a beautiful view of the ocean. It is right on the Pacific Coast Highway so if you get an ocean view room, you can probably hear all of the traffic. We had a partial ocean view, which was more removed from the highway itself. We had an issue with our safe and the staff was very quick to troubleshoot with us. Our one complaint was that we could hear the movement of the people in the room above us. We head walking around and getting on and off the bed. We didn't feel like switching rooms so didn't mention it to the hotel staff until checkout. I asked if there were people above us the first night and not the second night because we could hear them the first night but didn't hear anything the second night. I was right and the manager just shrugged and said just let it go.I had mentioned that it was annoying and that I shouldn't be able to tell if there are people in the room above me. I was surprised she didn't apologize or offer some sort of compensation but didn't push for anything. BW Plus Dana Point by the Sea was a huge dissappointment. Beach was only visible from the outside porch. Highway traffic could be heard from the room all night, even with the doors and windows closed. Windows were dirty. Basement garage parking had no security and transients were roaming around. Front desk was closed when we arrived. Very disappointing. We booked the room for 2 nights and left after 24 hours. Clean, quiet and calming atmosphere. Other than Being right on the busy 101 Highway. The Ocean was literally right across the street. However there are train tracks that you cannot cross. It's a great location to visit the Dana Point area. Close to restaurants and groceries if you need them. Our room was very clean and had a little dry sink area with the microwave and refrigerator! The room also was spacious and the bathroom/seeing closet area were laid out nicely. Would definitely stay here again and recommend. The staff was accommodating and friendly. I was attending a wedding at the Ritz Carlton and could not pay there rates. I ended up here and was very pleasantly surprised. Clean, trendy , quiet with great service at a very reasonable rate for its location. I was even greeted in the morning downstairs with a complementary mini breakfast buffet. The very nice gentleman running the counter made me homemade waffles!!! I believe Fernando? Stayed here for 3 nights,staff were helpfull as we got checked in early. hotel is situated on the pch1with 3 lanes of traffic in each direction right out front, the room was big with a sofa area and a good size bedroom and bathroom. Down size was the lack of sound proofing it took me 3 nights to get used to it then we left. There not a great deal to do at Dana point there are bars and restaurants at at the Marina but get bizzy early evening, but worth a visit. If you decide to go to Catalina island on the boat from dana point make sure you book in advance. Hotel has Laundry facilaties which is handy so we are going home with mainly clean clothes. "I expected better for the price"
Not really in Dana Point. Several miles south. Beach not as nice here. Had to cross busy street and RR tracks to get to beach. Most of the staff was nice and friendly. GM 'Jack' was rude and unhelpful - a jerk. Room was clean overall but somewhat old and felt used. No pool and no morning paper. Breakfast was OK with the usual cereals and breads. Some scrambled eggs and sausage. Room had a small refer that was noisy and the AC was loud. Had to turn off the AC to sleep. Bathroom was small. Hard to turn around in it. Limited restaurants in area. One Mexican place but it was always crowded so had to wait to get in. For $140/night I expected better. Stay in Dana Point or San Clemente you will like it better. "Great stay for the price "
This was a great find at a great price. I stopped here during a work trip and it was great to wake up with the waves crashing outside. Free parking and friendly staff. Fridge available and the AC worked great. We stayed at The Best Western By the Sea in Dana Point and had a nice relaxing time and Beach and many places to eat walking distance. Highly Recommend if your staying in Dana Point Calif. Very enjoyable and nice break from the busy life. It's a small place that has a little age on it but the owners will go out of their way to make your stay great. Easy check-in. Good little complimentary breakfast. The location is perfect sitting right on the PCH. I would definitely stay there again. Staff very nice! Offered a complementary upgrade when I checked in. The hotel is along PCH so there is quite a bit of traffic and the train passes by but was not bothersome to sleep. I was in a king room with partial ocean view. The room was very clean and spacious. There is stairs that take you over the train tracks to the beach. The beach in front of the hotel is quite rocky but to the right or left there is better beach area. There is a spa in front of the hotel. I didn't notice it until I was leaving but it looks quite nice. The hotel has great curb appeal. The room was spacious & quiet, which is my most important feature. There were several nice, outside seating areas, with views of the ocean and they piped in music. I would stay here again. This was the best stay and great pricing. 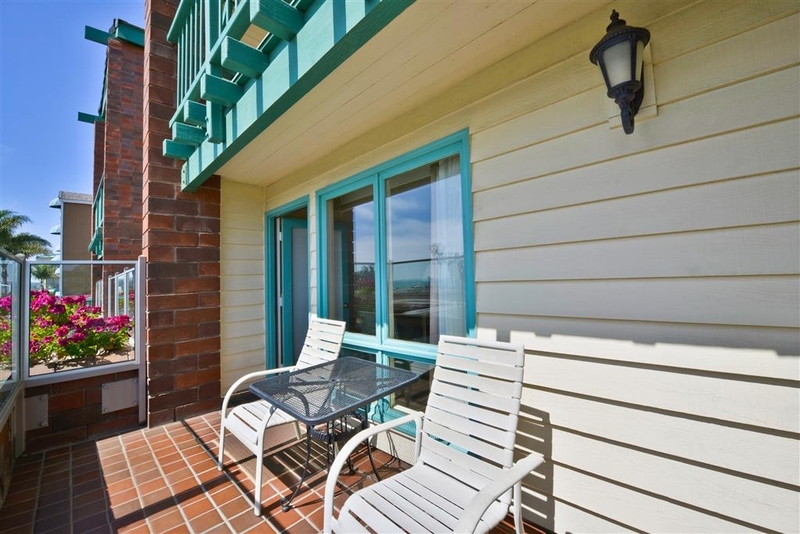 You have a beautiful view of the Ocean from the court yard and it is very quaint. The room was very nice the beds very comfortable. I usually toss a few time in the night and never tossed once. The thick memory foam is a awesome night sleep. The breakfast was the best. Fresh eggs, sausage, Belium waffels along with cerals,fresh fruit,coffe,tea,hot chocolate, and pastries. The front desk was very helpful they checked us in for our return flight and printed our tickets. and map to return the car at the airport. We asked about a nice restraint and they booked it for us and got a great desert comp. I will definitely stay here next time we go out. The only reason Im giving two stars is because the service was good. My wife and I came here for our honeymoon. However, upon arrival it was very underwhelming. We both got the same feeling as we have staying at the Motel 6 in Ventura. it's an alright place to sleep if you have no other options. We made the mistake of upgrading our room to the "Ocean View" which is obstructed by the road, fence and loud train that honks its horn. However, when cars and trains arent going by, or your standing up, I suppose it is as advertised. The room itsself wasnt a suite, but a room comparable to a super 8 or motel 6. In addition, we had the pleasure of hosting ants in our room. Overall, the stay was just ok. I personally would take your money elsewhere for the $160 plus a night price tag. It wouldnt be such a bad hotel around the $60-80 price range, but not worth anymore than that. There are plenty of beautiful properties surrounding this hotel. "Great place for a micro vacation"
I took a day off during a business trip and stayed here. It was what I needed; a nice, quiet property near the beach. 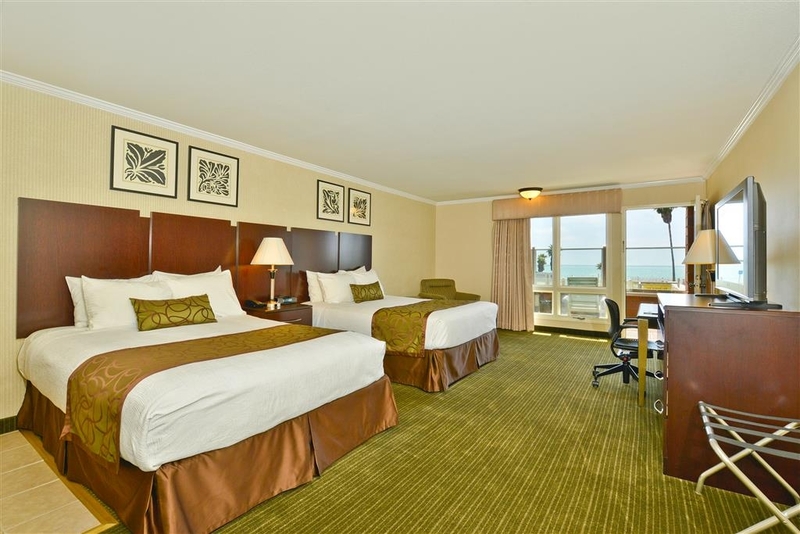 The staff was awesome, the beach is across the street, and the room was very comfortable. Nice deck. The partial view was plenty for me. You can on the beach to the harbor from here. This is a great getaway spot it's just outside of Dana Point so you don't have the traffic but only a couple of minutes to shops or restaurants. The hotel is owner operated so they are there to assist in anything you need. They are friendly helpful and the "hands on" shows in the upkeep of the hotel. It is wonderful can't wait to go back! This hotel is really nice with an awesome view of the ocean right across the street- beautiful sunsets! We had a ground floor room with two queens facing the ocean. The room was nice and clean and spacious. The free wifi workers great. While we had a private patio we didn't sit there as the street noise was pretty loud and there were some air conditioning fans were pretty loud. BUT- there were plenty of really nice siting areas in the interior patio. They had really nice music piped in and we could sill see the ocean and the sunsets! We spent many n hour out there chatting, eating snacks, drinking coffee or wine! I have to also mention he really nice breakfast (free) with patties, bagels, eagles, eggs & sausage! The owner was very helpful and accommodating as was the staff. The only couple issue were that the front patio was so noisy(as I mentioned above) and that they told us in the beginning they had free bikes to borrow but in the end they only had one. We had a wonderful time and would definitely stay here again! Hotel is an interesting complex of rooms right on the ocean highway. Photo on website is pretty accurate. Car park is underground and can be accessed directly from the highway in either direction. There is no night parking available outside, so you need a space. Hotel reception at check in and at breakfast was very friendly and helpful. Breakfast is usual fare, scrambled eggs, waffles, cereal, toast etc. Rooms were large, we had one with an ocean view, we had a small balcony we could sit out on. Location is a bit out of the main town, we walked into the harbour area to eat a couple of times, it's a good stroll, about 2 miles each way. I did find the car noise and the train noise intrusive and did not help sleep! We had a perfectly nice stay, in a friendly well run hotel, but we probably would stay nearer the harbour next time. This is a great location with friendly staff and nice rooms. Pricing seems competitive for the area. Located right on the PCH and a 5-minute drive from Dana Landing. There is a very nice Mexican food restaurant (food was great), along with an Italian food restaurant and a bar (didn't visit either of those two) all within a 5-minute walk. I would recommend this hotel. "Friendly Place by the Beach"
Not your rectangle building but courtyards and patios. Owners and staff were attentive and friendly. Worried about the possible noise from the trains across the PCH, but wasn't an issue. Great place to relax. "Best run hotel by the ocean"
The hotel staff is very friendly and helpful. Nice place modern clean across the street from the beach. Ocean view , they don't skimp on the continental breakfast. 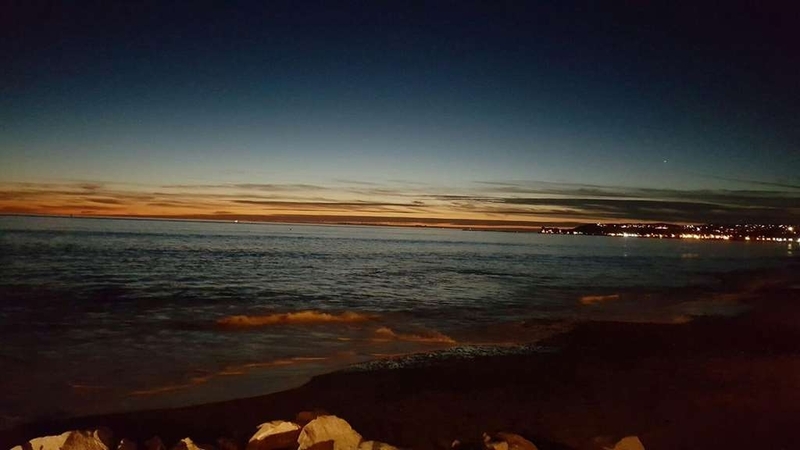 Located in Capistrano beach near a lot of restaurants, bars, and activities. We stayed there for 2 nights. 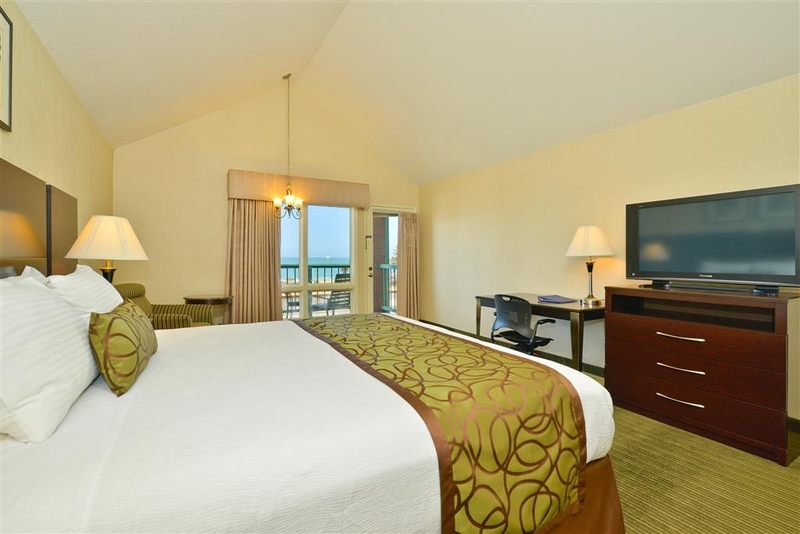 We picked an ocean view room with 2 queen beds. The room was nice and large with a little kitchenette and a balcony. We requested upper floor, but didn't have the same room type. 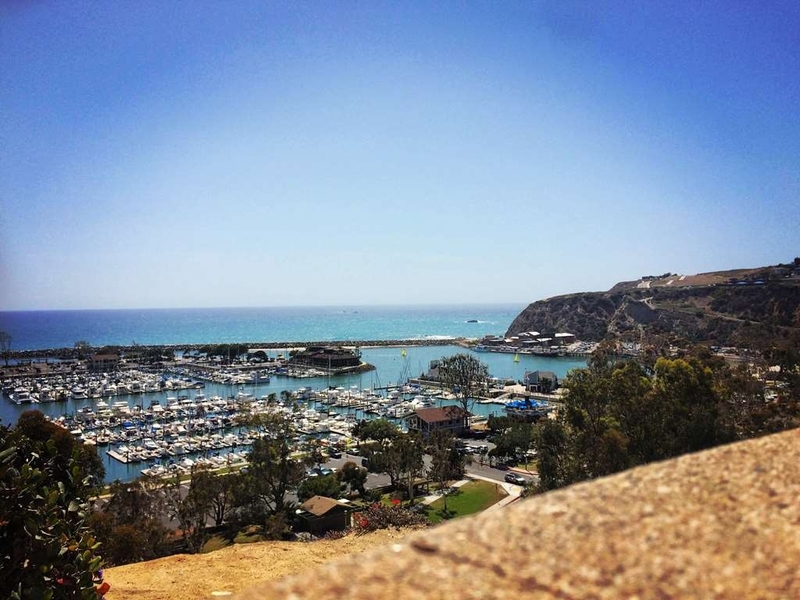 It's located a little bit south of Dana Point Harbor, but you can walk to Capistrano beach, and also a few restaurants within walking distance. Even though the hotel was on Pacific Coast Highway and by Amtrak railroads, but the noise didn't bother us. Breakfast buffet was well attended by the staff. Only drawback was too many sweet cereals and sweetened oatmeal packets. Overall, we had a great time. We'd stay there again! "Best western dana point inn by the sea"
Another great stay at the ONLY hotel we stay at in Orange co.We have been coming back to this hotel for over 10 years the staff has not changed in that time,this hotel is family run and it shows they take loving care of THEIR hotel.Fernando the manager and his wife treat us like family Their son Steve is night manager hes a GREAT guy who always takes care of us.We love this place,we come to soak up the ocean and just RELAX! Traveled from Indiana with sister and best friend for girls week in the area. So many great things to do in the area, and this hotel was a wonderful home base for our trip. Free parking and Wi-FI and nice breakfast. Spacious room. Balcony with ocean view. Beautiful sitting areas and gardens within the complex to relax and listen to soft music playing in the trees. So quiet, we hardly knew that there were other guests. Easy access. Great hot tub. All handicapped accessible also, including the hot tub. Fantastic staff, including Fernando, who was so very helpful with anything needed. I just cannot say enough good things. If I was forced to say something less than positive, it would be about the traffic noise while sitting on the balcony, but hey, that's what wine is for !! Enjoy !! ps. Great Mexican and Italian restaurants just a few feet away. "Great Customer Service-So So Rooms-Great Location"
The Initial arrival to this hotel was nice. do not drive a tall vehicle, or you will hit their piping in the basement unless you are VERY careful. during our 3 day stay, we saw 3 vehicles touching the piping with their roof racks...as for the actual hotel, the customer service was 100% on par with what one should expect to see at a Best Western Plus. The rooms, however, were not as great. This was an older hotel, so i'll give them a little wiggle room, but the AC unit in our room barely worked. took all afternoon to get down to the temp we set it at, and its only 75-ish outside! there were ants everywhere. Our bathroom, the closet, the sink just outside of the bathroom, on everything!!!! The bathroom smelled just a little more than i would expect, but there was lots of humidity. There was mold coming through parts of the wallpaper in the corners of the walls, most likely due to how small the bathroom/shower area are. i am 6'4" and only had about a half a foot above my head. Very short in the room we stayed in. Beds were amazing. Slept like a baby. If you go, i would recommend requesting a third floor room. the ceilings are vaulted, and the experience would be MUCH better! Would i stay here again? Yes, but only because of the customer service, beds, and ONLY if i got a third flood room. The rooms were not up to the quality of your typical Best Western Plus (more like a standard Best Western, in a not-so-good part of town), but everything else seemed to be. The breakfast was as expected for a PLUS hotel. hot breakfast-eggs, sausage, waffles, coffee, cereal, milks and juices, etc...it was easily accessible and worked ok for our needs. wish we got a different room though. "Dana Point Best Western Sure Beats the Alternatives"
This hotel is a pleasant, well-run, very clean, and small place, that is a welcome alternative to gigantic, sterile hotels. It is right across the highway from the beach, and guests can walk to several terrific local restaurants just a stone's throw away, including Mexican, sushi, Italian, and bar food. I would come back any time I'm in the area. Only drawback was the breakfast was not stellar, in that it's mostly bagels, sugary cereal, and similar high-carb food. Still, this hotel rocks! This hotel was very nice and clean. There were a lot of outside places to sit and watch the ocean. The breakfast was fairly decent. It is a little older, but had a vintage appeal and seemed to be well taken care of. It is right across the street from the beach, but Capistrano beach is very rocky. This place was wonderful! Harley checked us in and made us feel right at home. When I didn't know our license plate number, she told me to just put the make and model and she would get it rather than me trekking down to the parking garage after our long drive. The room was clean and nicely decorated. Everything was in working order. My only complaint is that the WIFI signal was weak, but we were on vacation so that wasn't a priority. Maid service was great too. We returned from a day at the beach to find our beds made, fresh towels, and a spotless room and bathroom. They had nice classical versions of contemporary songs playing throughout the atrium area when you walk out of your room. Very relaxing. At breakfast, Fernando made our pancakes and got anything we needed. Just a great place to stay! I stayed here with my family for a quick beach getaway from norther Los Angeles. We had a sea view room and it was absolutely lovely. The room was large and beds comfortable. There was no more ice in the ice machine and Fernando saw me and later knocked on our door with a big bag of ice from the store. We hadn't even asked, so it was a really nice touch that he noticed. The view was perfect you are literally across the street from the beach, and the restaurants and shops are just a quick drive away. I also liked that they had an elevator since my dad is on crutches. Fernando and his staff were always ready to help us if we needed it. We hope to be back soon! Thank you!! "Favorite Place to Stay in Dana Point"
Great casual motel. 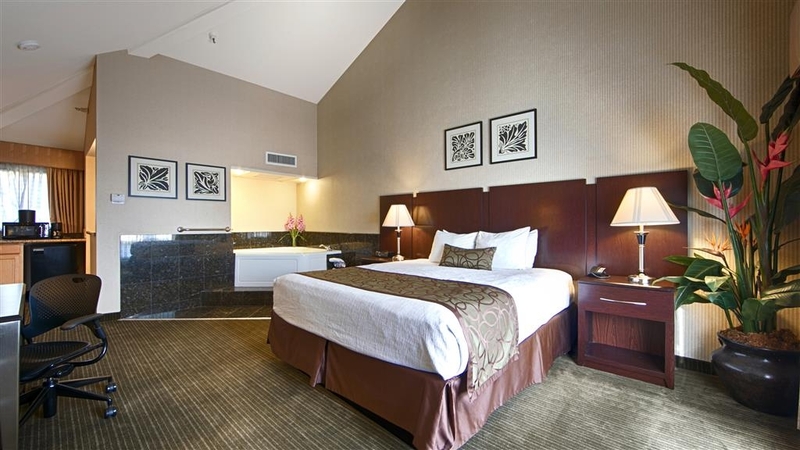 The rooms are comfortable, the location is perfect, and I always experience a great night sleep when I stay here. The staff is very friendly and helpful, the grounds are very clean, and I love the view. I look forward to staying here every time I come down and visit my family. "Great location near the beach"
We expect more at a Best Western Plus. The location is overlooking the beach, but the beach is not very accessible. It can be loud. The layout is awkward. They do have underground parking that is a plus. Breakfast is marginal as to variety and taste. My husband tried it a couple of times and I once, but then opted out. For a 7 night stay, we would not stay here again. If you're just here for a night or 2, it might work for you. A plus is Agostino's Italian and Olemeldi's Mexican, within 2 blocks. The property is right in the freeway. The location is convenient, but be prepared to cross a major freeway to a beach focused on camping. Our room was dirty and run down. The staff told me that they would charge me extra for my kids. This night was just myself and my three children, so I don't see why that mattered? There were four people total. I was told it is BW policy. He graciously removed this charge when I shared a photo of the roll away bed with its stain and permanent dent in the middle. We are on a two week trip all over California, and this was our only bad night. The teens refer to this place as The Bates Motel. This was the most lovely place we have ever stayed.The beautiful flowers,gardens and fountains in the courtyard, backed by the soft classical music being piped in, made for the most relaxing experience. Sitting outside in the beautiful weather, reading a good book, caused total relaxation and was really the vacation we have needed. The ocean view was just icing on the cake. Loved it! First, Steve at check in was really friendly and helpful. 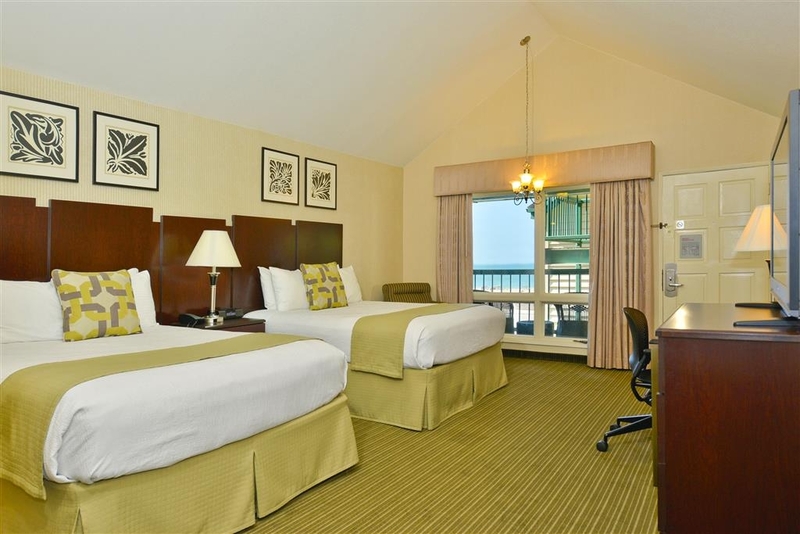 Second, we have a spacious room with vaulted ceilings and a view of the beach (we can even open the windows). The bathroom is a little small but manageable. Parking is convenient. Good location. Beach directly across street, pedestrian access short walk away. If you're hauling beach gear you'll find parking a short drive away. Clean and good sized rooms. Well kept gardens in common areas with patio seating areas to enjoy weather, sound of surf in the distance, ocean view in some areas. Breakfast available. Very kind and attentive staff. Enjoyed our stay at this location; excellent customer service; our room was ocean-facing with a balcony, allowing a good view of the ocean. Staff was very helpful; good breakfast with staff making waffles, fresh eggs, cereals, breads, pastries, orange juice and coffee. Easy parking ramp located at the hotel. Family run business. Great location, breakfast open until 10:30, friendly, clean, safe parking under the facility. Bikes available to use. Gorgeous veranda on top floor overlooking view of the ocean. Easy access. Highly recommend. We had the best experience with our stay. The rooms are clean and well equipped. The staff is friendly and willing to go the extra mile to help out. The owner, Fernando and his wife are a joy. They obviously love what they do. It is revealed in how well they maintain the property and how they treat their guests. The location is great. PCH is a bit noisy, but the beach is just on the other side. There are four restaurants within walking distance and the Dana Point Harbor is only a short drive away. San Juan Capistrano is also a short drive. We will come visit again. This place is very quiet and melo... across from the beautiful beach, near a few restaurants which makes it nice. Staff is excellent....continental breakfast is good and they even make your waffles. Great place just to get away for the weekend. This hotel was awsome, we went down for the fourth of july, nice size rooms, comfy beds, great hospitality, clean rooms, clean bathrooms, beach access directly across the street, nice and quiet, brunch was also good, great waffles!!!!!!!! It was a hot day and AC wouldn't go below 75 degrees. I read this same comment before at this hotel and room, obviously management is not gonna fix the problem. Staff ( Steve) came up and brought me a fan which helped but not much ! I was sweating all night not comfortable. Check in and out was quick and friendly /professional - plz fix the AC problem for future guests ! Stayed here for 3 nights while attending a conference at the Laguna Cliffs Marriott. Even with the conference rate there, the rooms were about $250 a night, plus $25 a day for parking. I stayed at the Best Western, which is about a mile away, for half the price, free parking, and a Lyft ride of $6.00 each way. Great decision. My room was very comfortable and clean. I arrived at 9:00 a.m. after a two-hour drive from Los Angeles, and the manager let me check in early, so I could drop off my suitcase before I went over to the conference. Didn't try the included breakfast because I had breakfast at the conference. Lovely location right across from the beach. Quiet at night. There is a deck on the second level, where you can sit and watch the sun set. All together, a very enjoyable visit. Wonderful stay and great location. Good bed, nice view of the ocean, friendly service.loved the little gardens through out the property. 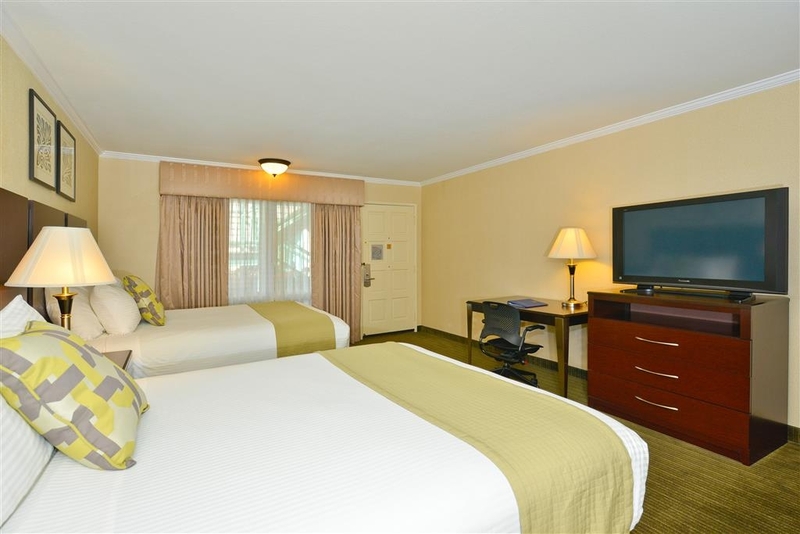 Nice spacious room and apprcietated the outdoor seating areas through out the hotel. We enjoyed this hotel. Our view from our room was spectacular. We watched the sunset from our balcony. There is beach access across the street. Our room was quiet and clean. We had no problems upon check in our checking out. All of the staff was very friendly and helpful. "A/C Barely Works. Hotel charges "Resort Fee" if booked through Expedia, etc." The first room we tried was 76 degrees when we entered. We turned the A/C on and set the temp to 65 which is the temperature I normally sleep at. After an hour, it had cooled to 75, so we switched rooms. Same issue. Staff said that's as good as it gets. Running all night and the temp only got down to 69 after 12+ hours. Both check-in and check-out personnel indicated that if I book directly through B/W, then they waive the $14 resort fee. Seems like this is the hotel charging the customer the fee they pay Expedia, Hotels.com, etc. Nice staff and gardens, however the room stank of mold, other's hairs were on the bathroom floor and sheets, the linens had rips or tears in them, the carpet felt sticky (yuck), the "free" wireless internet was the slowest I've ever seen, there's a train running frequently past the front of the property, beach access required a workout to ascend a HUGE flight of stairs to an overpass to avoid getting hit by the trains. Would not stay here again. This hotel was beautiful, cozy, and comfortable. The bed itself was very comfortable and we have back problems too. We could walk to the beach and restaurants. There is a trolley you can take to the Harbor for more restaurants and shopping, and yes it's free. I would stay here again. This is a upgraded property with a wonderful courtyard, great view, quiet and very comfortable. Priced great and staff is awesome and very friendly. Recommended for couples and families. Excellent choice for both business and vacation. "Wonderful Relaxing Vacation by the Ocean"
My 3 sisters and I spent 4 nights at the Best Western Plus Dana Point Inn By The Sea. Perfect setting by the Ocean. The rooms were clean and met our needs. The staff were friendly and willing to do anything to make the stay better - highest marks possible to them. It was very relaxing and the perfect location. We look forward to returning in the future. Going to San Clemente or Dana Point? This is the greatest place! The location can't be beat, the smaller size was very refreshing (not 400 rooms!) and the staff was able to give personal attention to all in my party. Perfect location across from the beach and fast walk to be on the sand. Excellent staff and service. We will continue to stay here when we visit Dana Point! We listened to the ocean from our room and for the price it was actually affordable for us. "Always can count on a great stay." Have stayed several times over the years and have always had the best front desk service, clean and quiet rooms, serene gardens, great view of the ocean, and at night could hear the waves breaking while going to sleep. The breakfast is fresh and a good variety. A small thing that delighted me was how inexpensive the bottled water was in the vending machine. I highly recommend Dana Point Inn. A very beautiful place, right across Pacific Coast Highway from the beach at Dana Point. The customer service was fantastic, especially the manager who was running from place to place to help customers. Water fountains were here and there, beautiful music played in the courtyard during daytime hours, a common balcony overlooked the beach. I would recommend staying here during warm summer months. Well I cannot say enough wonderful things about Fernando and his family running the hotel. We stopped there last minute on our PCH road trip. We had a very large room with an ocean view. The room is older but nice and clean. We had a patio to sit out and watch the ocean. It can be loud at times with the traffic and train but it quiets down at night and I slept fine. The gardens in the courtyard are cared for with love. I enjoyed the water feature and soothing music. It was a very tranquil area that was worth spending some time in. Fernando provided us with maps and dinner suggestions. He is a gem! I would stay here in a minute if I'm ever back this way. Thank you Fernando from the Hamm's in Texas!! BW Dana Point Inn by the Sea is quite comfortable (the mattresses are fantastic!) Staff is friendly and very helpful. Good location, close to restaurants. Always clean and everything working and in good repair. Not the fanciest, not the most expensive, but I have always had a wonderful stay at this BW! "Fabulous hotel by the ocean." Our family of 11 stayed here for 5 nights for our son's wedding. We were made to feel like family. The staff is attentive, kind, helpful, and friendly. We could not have asked for a better location for a San Juan Capistrano wedding. I would highly recommend this hotel. "BW Plus Inn-by-the-Sea, Dana Point, CA"
Beautiful location and ocean view; friendly and helpful staff; excellent room and décor; good breakfast selection; receptionist recommended we drive down to the marina and we were glad we did as it was a beautiful area and we enjoyed watching the sunset from there; a great overall experience; so glad we booked the BW Plus Dana Point! "Our 3rd stay. 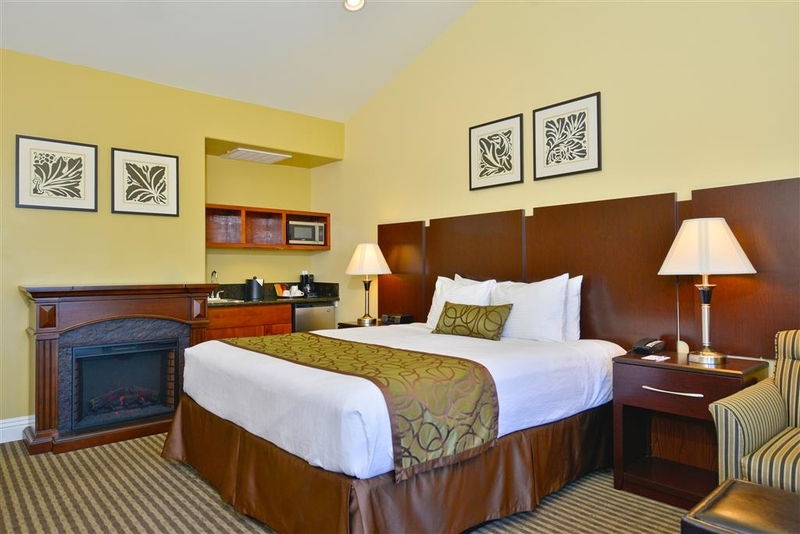 Great location"
This hotel is family owned and run so they are always friendly and helpful. This hotel is across the street from Capistrano Beach. But you can't just walk across the street as their are train tracks on the other side of the road before you get to the beach and there is a fence. But it's just a VERY short drive to a parking lot with reasonable parking fees right on the beach. You park and in 5 steps you're on the sand. We've stayed in an ocean front room the last two times. Love to hear the waves. As long as the occasional train and light rail doesn't bother you. It's never bothered us. Don't bother with the "free breakfast" though. It's awful. "Excellent hotel - right next to beach"
Hotel was very clean excellent location would highly recommend staying here if you're in the Dana point area . We just stayed one night and had excellent accommodations ! The breakfast was outstanding and the rooms were clean and well-kept up . Older hotel, nice and clean. Ask for a room overlooking the ocean. Staff was outstanding and they will be the reason we come back. Continental breakfast was standard and decent. Underground parking was a bonus, quite a few spots to park. You will have to walk a couple of blocks to cross over to go the beach. Retreat of soft music,flowers, fountains and happy birds chirping. Be lulled to sleep by rolling surf,the smell and glow of campfires.Awaken to a fresh homemade waffle;fruit,Activia,fresh eggs ,sausage and more.There are little garden spots nestled among the gardens to enjoy breakfast.Or go upstairs and dine by the ocean,which is across the street.There is traffic noise but I fell asleep by the jaccuzzi as it did not even bother me.Beach access to the south and overpass to the north for the more athletic.Hair salon ,restaurants and bar within close walking distance.You can take the train from San Diego to San Juan Capistrano and take #91 bus to a block within hotel.No driving for 4 days .Wonderful!! And best of all.....the family who manage the hotel go out of their way to make everyone comfortable and happy.I am a seasoned traveler to many countries,and this was one of the most special hotels I have stayed in because of the beauty of the surroundings and the kind , hard working owners and staff. .
Check-in pleasant & professional with front desk personnel knowledgeable about local spots. Room clean and well stocked. On site parking tight but with room for all. Property is across from DP Beach. Highly recommend a stay when in the area for the beach. The hotel is clean and well-maintained. We had a lovely spacious corner room with a partial view of the ocean. The inner courtyard is quiet and inviting and creates good separation from the adjacent highway and railroad tracks. The staff is gracious and helpful. We would choose this hotel again if in the area. We stayed here for a wedding down the road, it was the perfect location, it took us 5 minutes to get to our venue. This hotel faces the Ocean, some rooms face the ocean and some have face the garden view, we had a garden room, our room was very nice, clean. Really comfy bed, quiet room, back in the corner, could not have been better. We liked the piped music throughout, nice touch! tasty continental breakfast with cooked items, eggs and sausage.....Staff was friendly and helpful. Overall, good experience! We spent one night at this nicely furnished hotel across PCH from the ocean. Everything was great, from the WiFi, to the bed, to my waffle for breakfast. We were close to restaurants at Dana Point Harbor and an easy access to Interstate 5. 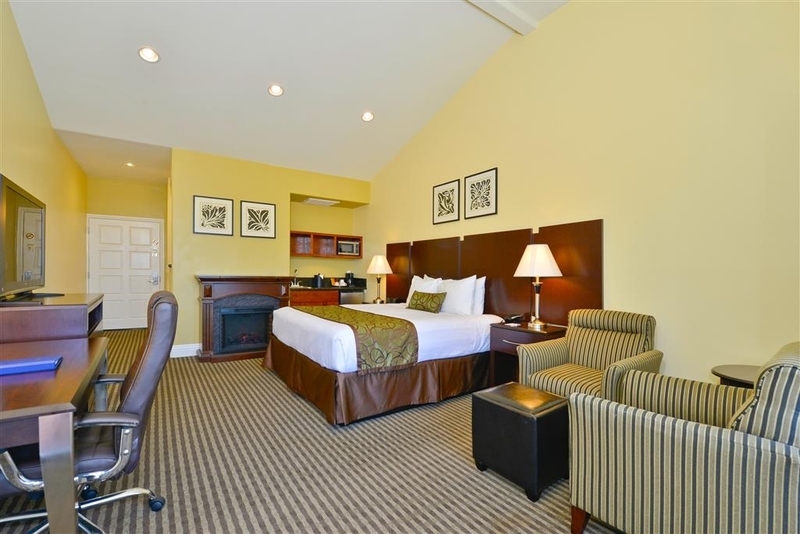 We were impressed during our recent stay at Best Western Dana Point By the Sea. It was very clean and the bed was comfortable. It was right across the street from the beach. The staff were very pleasant and helpful. We would stay here again if in the area. This hotel is directly across the street from the ocean and has US Hwy 1 in front, but there was never any noticeable noise from the traffic and the ocean was beautiful. You can cross the highway on an overpass and enjoy strolling on the beach. We particularly enjoyed the courtyard which has beautiful flowers and fountains and really pleasant soft music playing.It was very tranquil and relaxing sitting out there. Three nice restaurants are within a two minute walk, which was nice. Next time in the area, we will stay there again. "Stop over on way back to Sacramento"
Very nice family ran hotel and was upgraded to ocean view room for free. 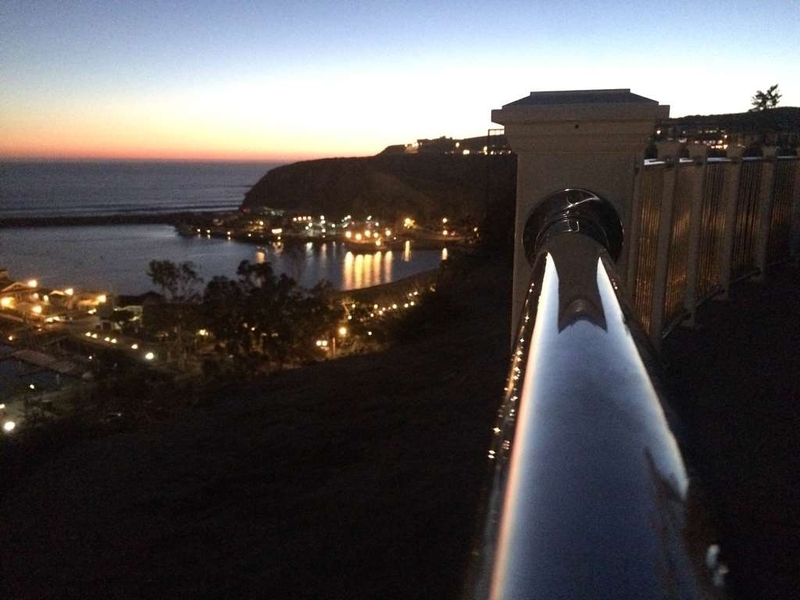 Unfortunately, this hotel,is located right on the coast highway and the train track, but if you can handle the noise the views are worth it. Plus it is walking distance to the beach and a very yummy Mexican restaurant. Both positives for us! This seemed like a family run operation run by very nice people. Uniquely designed building rather than the usual long hallways. Nice gardens too. They checked us in early, and had even upgraded our room. No balconies, but there are outside sitting areas where you can enjoy the view of the ocean. No pool, but there is a small hot tub. Trains run by on the other side of the highway and were a little bit noisy. There isn't much that you can walk to from this hotel, but there are restaurants, shopping, etc. within easy driving distance. Breakfast was good. We would stay here again. "Customer Service + Nice Hotel = Great Stay"
This is a review I am excited to write. First, the hotel itself was very nice. I had a balcony room with an ocean view. The room was spacious, very clean and the bed comfortable. The beach is right across the street, so sitting on the balcony and enjoying the sun and the ocean was really nice. It is a very busy road during the day, so while it is very pleasant, it's not necessarily quiet which was okay with me. I enjoyed that it is a small hotel and appreciated all the effort that goes into making the interior garden space so attractive and the overall welcome feeling. Second, I can't say enough about the customer service! Fernando went above and beyond to make sure my friend and I enjoyed our visit. In particular, he knew we were leaving for a whale watching cruise very early the next morning and offered to have a light breakfast available before we left. Then, when our rental car wouldn't start as we were leaving, he personally gave us a ride to the harbor. Upon our return, he helped us get our car started again so we could be on our way back to the airport. His friendly, helpful attitude was wonderful and he certainly saved our day from disappointment! I will be back and would strongly recommend staying here for a visit to the beach cities. 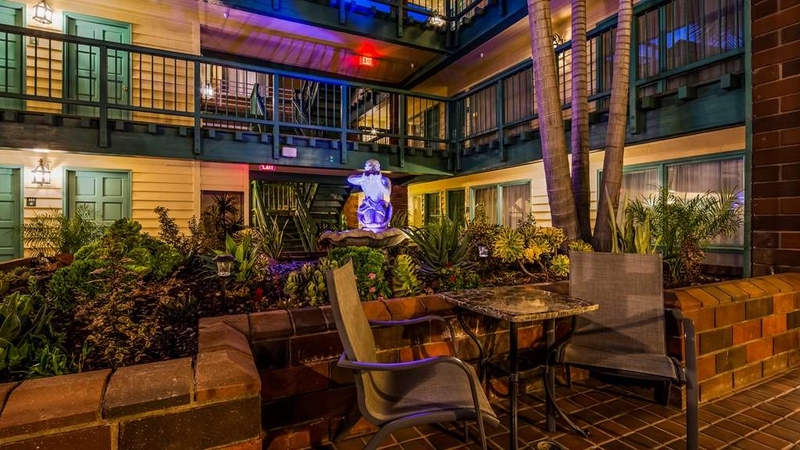 This hotel property is beautiful and peaceful while also being close to the PCH and 5 Freeway. I stayed in a room with a balcony and looked right across the street at the waves crashing on the beach, and surprisingly it was very quiet at night which was wonderful! The only things that need updating are the in-room amenities and breakfast, that would give it 5 stars for sure! Had a garden view room with partial ocean view. Clean large room with 2 queen beds. Did not hear PCH traffic or train as others have noted, yet you can hear your neighbors through the walls. Outgoing friendly staff. Well appointed gardens and fountains, freshly painted, they did a super job upgrading the property! Great place to stay. Spent one night and it felt like family as soon as we registered. Owners are incredibly welcoming and hospitable. They'll even make your waffle at breakfast for you. Sit outside in the garden area and enjoy the breakfast and the time while soothing and relaxing music seranades you. The room is updated, very clean and comfortable. Would definitely go back. Thank you! We had a very good experience from beginning to end. It is not a fancy place, but a very relaxing and comfortable small hotel. Our room was large with the ocean view right across the street. I thought it would be noisy being near the road and the train tracks, but we were not woken up by either. (I had ear plugs, but didn't have to use them.) The management and staff were very accommodating and friendly. The hot breakfast was simple, but good. I had eggs, sausage with a hot waffle with juice and tea. That would have cost at least $10.00 if we went out to eat. 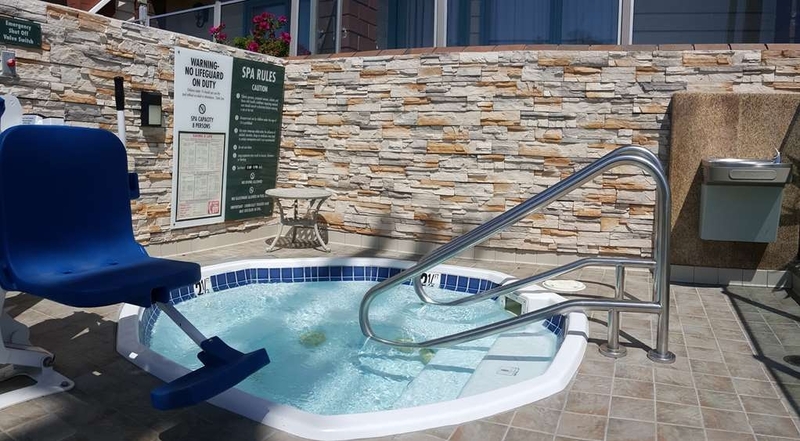 The only disappointment was the outside Jacuzzi, I thought it was on the nice upper deck with the ocean view, it was tucked on the lower level in a small enclosed area - but we did have an ocean view and it was clean. If they put it upstairs, I would give it 5 stars. But for the location and price...this hotel was great! "Beautiful little hotel by the sea"
The hotel is across the ocean, take a room with a balcony facing the ocean it's beautiful. The room is spacious, it has a microwave and a fridge but it's a little outdated. They have a simple breakfast included too. The hotel served our purpose for 3 days instead of staying in the outrageous ritz. "Nice location near the water"
We booked this hotel knowing it was right on the PCH because of the proximity to the water. The beach is a five minute walk to get up and over a crossing. The beach is nice but there are a ton of RVs in the lot across from the hotel and quite a few kids on the beach likely due to the weekend. There are a few restaurants down the street including sushi, Italian and a sports bar. Sunsets are fantastic from the hotel, restaurants or the beach. The staff here is very accommodating. You can tell the ownership is present the majority of the time due to the attention to detail and kindness of the staff. The bed was also very comfortable with nice sheets and lots of pillows. "Relaxing stay by the beach"
"Nice place to stay, front room have the noise of the street along with the ocean"
Nice clean room. Hotel is well kept. Personnel are pleasant. It is across a busy street from a nice beach. About a mile or two into Dana Point. Breakfast is simple but fine. Would recommend to families and business travelers. "Friendly comfortable and great location in Dana Point"
Warmly greeted and felt welcomed to this very convenient property just south of Dana Point across from the ocean. Frenando was very friendly and excellent host at this property. There is Free underground property the a seating area on the second level to relax and view the ocean. A gem of hotel tucked off the California 1 Hwy. Stayed at this little gem for a wedding and was happy with the front desk employees, cleansliness and location. This hotel is on PCH but we couldn't hear anything from our hotel room. This hotel is also pet friendly so be sure you're fine with dogs. There's a short walk across the street & down the street to a nice beach. There is also eateries across the street like subway, Starbucks, etc.. We would definitely stay here again. Word. The staff is very kind and accommodating, even checking in at a late hour. Their location is great, and easily accessible to the ocean. If you can't make it to the beach, I recommend getting an ocean view room- it's worth the extra money if you can't get outside. The room sizes and amenities (sink and mini fridge) in it were more than expected! "great way to relax along the coast"
Great place to stay if you want to be near the ocean. The best service is provided, with a smile from the manager, and his wife. Have stayed here now 3 times, has alway been a great experience. Nice rooms, especially the ones with a balcony, and a hot tub. Tall ceilings. Very comfortable beds, and the rooms are clean. Nice outside corridor, very relaxing feeling. 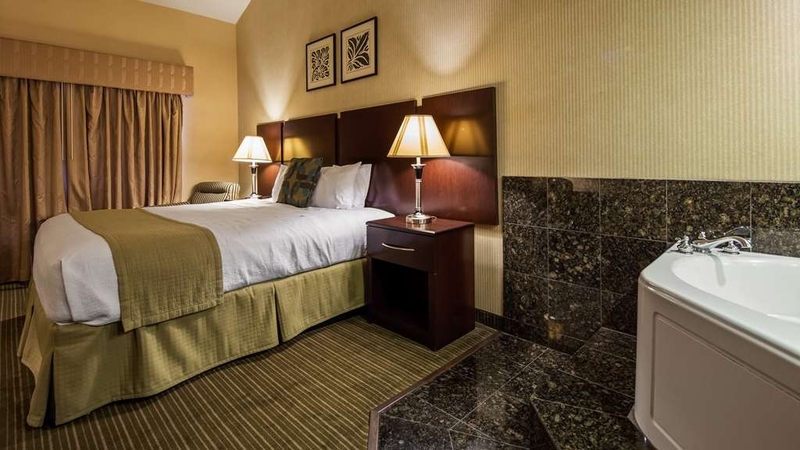 "Nice, Quiet, Quaint Best Western with a GREAT location"
Stayed three nights in a two bed room. Clean and quiet. Had all the amenities that a hotel room should. TV, coffee maker, fridge, microwave, blow dryer, iron, ironing board, vanity mirror, hot water, safe, covered parking, and hot breakfast. Can't beat the location or the price! Literally across the street from the beach and ocean. A minute walk from a couple restaurants and bars! "Wasn't sure what to expect but - it was great"
I feel like you're never sure with a Best Western what the quality will be - but the room was very nice, and despite the fact that we faced the train tracks (as well as the ocean since the train runs along the ocean) it was pleasantly quiet at night. All of the staff were very friendly and helpful. I would definitely stay here again. Very friendly and knowledgable staff. Very nice modern accommodations. Was also please that despite the fact that our room faced the train tracks (as well as the ocean - the train runs along the ocean) that the room was very quiet. Would definitely stay here again. We enjoyed this hotel for its friendly staff& great locale. The breakfast was varied with an automatic pancake maker!! A short walk to the beach. Room was huge with a separate sitting room. We had an ocean view & several restaurants close by. "A jewel on the southern coast. " This little inn is a jewel. Not only is it across from the PCH fro my he sea, but it is well located,to Laguna beach and Mission Capistrano. The manager Ferdinand is busy taking super good care of guests as well as the grounds. He is such a kind, considerate manager which is highly unusual in most hotels I've been in. He took our luggage to our room and back to our car when we left and said no tip was necessary. Also, he arranged dinner for us at the Chart House and provided dessert for my friends birthday. Such a kind thing to do. We spent five days there and everything was perfect. The music that played in the central terrace was perfect, the grounds and rooms were exceptionally clean, and the morning breakfast was orchestrated by the manager. This was such a wonderfully delightful experience, I would book this hotel again in the future and highly recommend it. 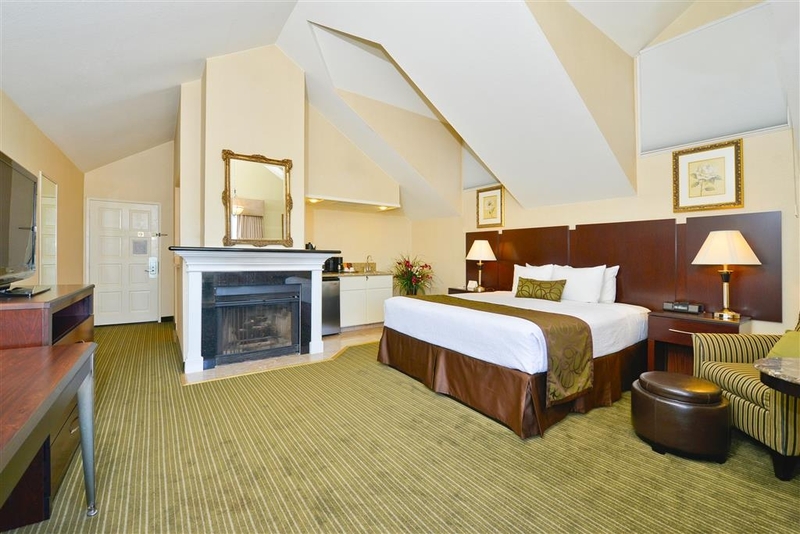 "A delightful stay at Dana Point"
Very pleasant and quaint accommodations at this Inn By The Sea. The staff members were always helpful and courteous. We had a delightful and restful stay. The music in the courtyard was very soothing to the soul as we watched the sunset. And the recommendations for dining were a real treat ! "This hotel is quite a gem!" In addition to a great location right across from the beach, this Best Western is more like a wonderful B&B than a motel. Fernando and Amy make you feel like they are personally here for your needs...and they make waffles for you every morning. The hotel is very clean and well maintained. It is well appointed with lovely sitting patios to look at the ocean while you listen to their soothing music that plays in the garden area. We could see and hear the ocean at and we were at the back of the hotel. Don't be concerned about the train tracks along PCH. The only trains are quiet commuter trains that quickly buzz by with little sound. There is also a great covered walkway to cross over the tracks to the beach. We were very surprised what a little gem this is. Was in town for my 20th high school reunion, and wanted to stay near the beach. This hotel met all our expectations. We got a Ocean View room, which actually had an ocean view. We could actually hear the surf last night! This is my second stay here in 18 months. Fernando (owner) and his staff are excellent. Everything was smooth and easy switching from a 1 night stay to a 2 night stay on a busy summer holiday weekend. I look forward to staying here again when I visit SoCal for work. Very nice hotel and would recommend it to friends and family members. Very low key for middle of the week stay which was wonderful, very relaxed. Staff very nice and excellent service. Loved that it had a roof top terrace for viewing sunsets. 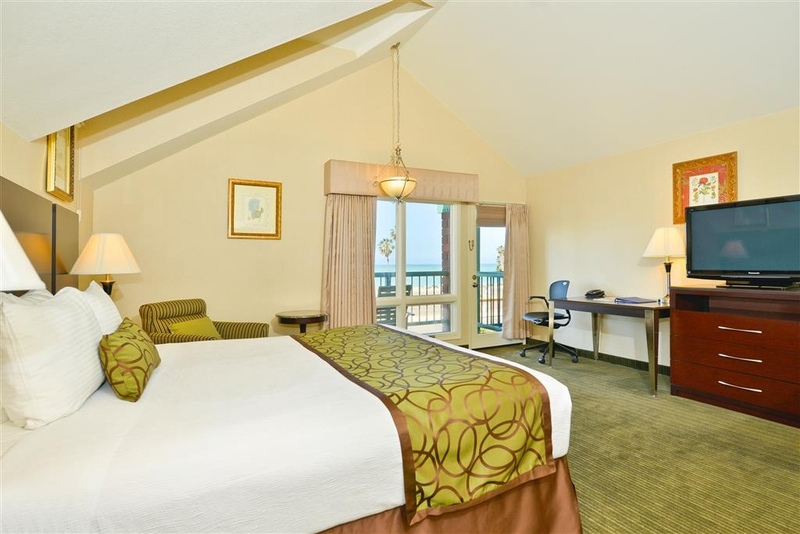 "Great room with balcony overlooking the beach." 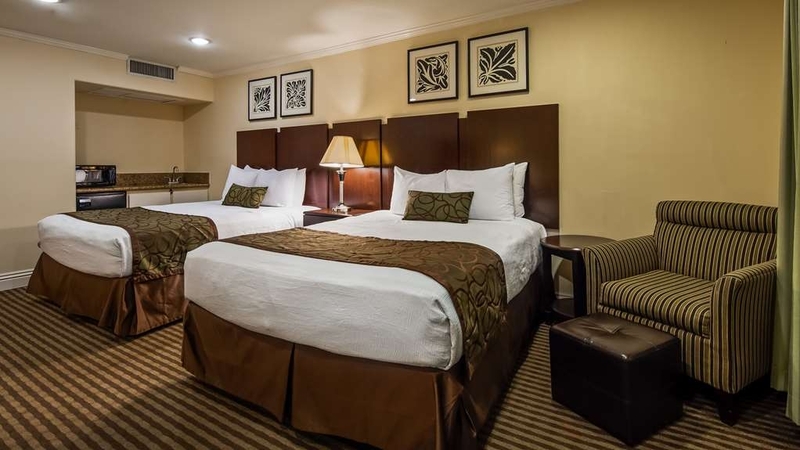 Our room was up to date and clean and we felt that it was a good room for the price. We had asked for a balcony room overlooking the ocean. We got one but the hotel is across the busy street from the ocean and the electrical/telephone wires prohibited a great view. The small courtyard is well kept and attractive. It was great having free lower ground parking. We were very satisfied overall with our accommodations. "lovely hotel - with views of the pacific"
My family stayed here for 6 nights to visit the local beaches. The hotel was clean and all the areas I saw seemed well maintained. The breakfast choice is good with waffles, ceral, pastries, baguels, scrambled egg, and sausages on offer with coffee and fruit juice. Perfect way to start the day was breakfast on the veranda - life is what you make it and watching the ocean whilst eating breakfast with your loved ones to start the day makes it special. The rooms where spacious and clean, the aircon was perfect - kept the room chilled without being noisey. The hotel was quiet at night enabling us all to have a relaxed sleep - leaving us ready to enjoy another day at the beach. Parking is under the hotel with a car height limit of 6foot 2inch if i can recall and we never had any issue in getting a space. Also with it being underground meant that the car wasnt hot to return too. The only issue which let the hotel down was no pool - however we knew this when we booked - there is a small hot tub - but after a day at the beach it was something we didnt use. The hotel owner/family work hard to keep guest happy - well done and keep up the hardwork. Completely overpriced for the condition of the room. There were ants in multiple places in our room that then got in my bags and were crawling on us in the car after. The hotel was such a disappointment. Parking is really tight with any type of larger car. "nothing special, noisy, plumbing issues, a/c issues"
great and bad location at the same time, across the street, pch, from the beach and railroad, very noisy. had plumbing issues, a/c was replaced by room unit with no window screens, kinda not classy,, you can probably find better for same or less money nearby. The staff is very excellent. The property is older and slightly in disrepair (i.e. 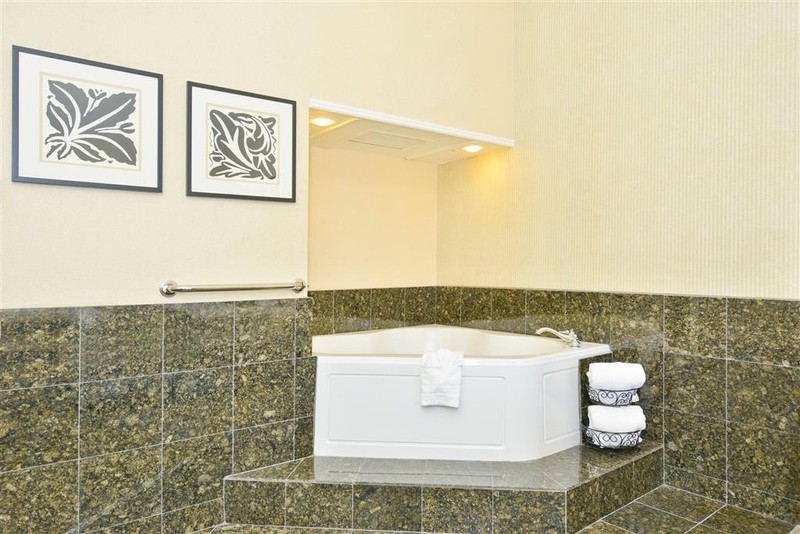 - loos tiles on second floor in front of the elevator; the elevator is old and clunks a bit during operation; the bathroom was extremely small and a very tight fit for my wife and I who are larger people; the a/c does not blow even half the force of what most hotels do). The breakfast was average and there was road construction in front of the hotel making it more difficult to access the beach. "Best hotel in Dana Point"
So close to the beach... I could walk... The room they gave me had a great ocean view... Very special hotel with a caring owner. Parking was convenient and there was a hotel elevator for convenience so I could get my luggage to the third floor. Close to places to eat. Close to the San Jan Capistrano mission. We visited Dana Point during the 4th of July weekend. This cute hotel was located directly across from the coast, perfect views! The location was perfect, the staff was very helpful & tentative. The rooms were clean and well maintained. My only complaint was that there were some ants in the bathroom, but not a big deal. If I ever visit Dana Point again I will definitely return to this hotel! We enjoyed our stay here. The staff was very friendly and helped us get transportation down to the marina as parking was limited on July 4 and we had to be at the ferry by 6:45 am. They even opened the breakfast a few minutes early for us. I think the suite style rooms and the balcony. The main highway is busy, but you could not hear it from the room. The family we traveled with had stayed there many times before. Always a nice experience. Location is everything, right? Can't beat the location here - right across the PCH from a beautiful golden beach in Dana Point. There's a bridge over the PCH to get to the beach just down the street, so it's very easy to get over there and unwind next tot eh ocean. Beyond that, the hotel is well-maintained and well-operated - our room was large and very clean, with a lovely little garden out front that someone obviously gave a lot of thought to planning and maintaining. Very peaceful spot. Even though the PCH is a fairly busy highway at times, we experienced no noise at all in our room. Beds were very comfortable, too. Wi-Fi service was a little slow, but that's not unusual at hotels. The staff at this hotel are excellent - at breakfast (which was very good, by the way), the manager went out of his way to help my daughter make waffles, when he had a lot of other things I know he needed to do as well. Everyone from the manager to the maid was friendly and helpful. No restaurant on site, but there are two very good places just a couple buildings down if you don't feel like driving into town. I enjoyed it tremendously. This hotel has the most friendly and attentive staff. They will do almost anything to make your stay more enjoyable, including loaning you beach mats The hotel is directly across from the beach, so the absence of a pool is not a big deal if you like the real thing. Do not be put off by the fact that this is an older facility. Recent renovations are everywhere. I did experience some small problems while there, including insects in the room but the staff dealt with it immediately. Staff at this hotel very unfriendly. Quality was not what was paid for. Rooms assigned was not what was booked. Breakfast room much to small and breakfast items offered was not good. Overall experience was bad. Friendly and helpful staff. The hotel looks very nice from the outside, it felt like you're in a tropical island with a great view of the ocean. It's quiet at night considering we were there on a summer weekend nights. The room is very clean. "Fantastic beach location! Great service!" This is the best hotel in Dana Point and/or San Clemente in my opinion. The hotel is located across the street from the beach, and on Pacific Coast Highway 1. You can't find a better location, and you are out of the fray of the city. Additionally, it is centrally located between Dana Point and San Clemente for exceptional accessibility. The rooms are great, and the service staff was welcoming and helpful. I give this five stars for its category, and I highly recommend! "Nice stay near the beach"
I had booked this trip to have a nice stay away from home on my own for one night. The location was splendid. I had a partial ocean view from my room, but even if one did not, there was a common area for people to sit at a table with a view of the ocean. I borrowed one of their beach cruisers and took a ride down the bike path across the street. The breakfast area was small and tidy, just brought my food to the room. Steven, Fernando and all of the staff were helpful and courteous, I would stay again. "OUR FAVORITE PLACE ON THE COAST"
Not only is the location perfectly situated at the entrance to Dana Point Harbor, but the inn itself is situated directly across from the ocean and I love falling asleep and waking up to the sounds of the waves crashing on the shore. Steven is friendly and accommodating, and always makes sure that we have our favorite room and a beach chair in order to enjoy the balcony perfectly. We visit each year in early summer and look forward to the trip all year! Limited, and very low underground parking, but free. Charged an extra $17 dollars a day for a resort fee and there is only a small hot tub that would fit 4 adults comfortably. Was charged extra for an ocean view, that you really can't see from the first floor. So ask for upper floor if you pay for an ocean view. A loud busy street and train separate you from the ocean, so you can't hear the sound of the waves. Staff tried to discouraged me from using Orbitz upon check-in, by telling me I could not use a different credit card, even though the reservation was in my name, but I could have if I had booked through Best Western. On a positive note, this area is beautiful and close to attractions. 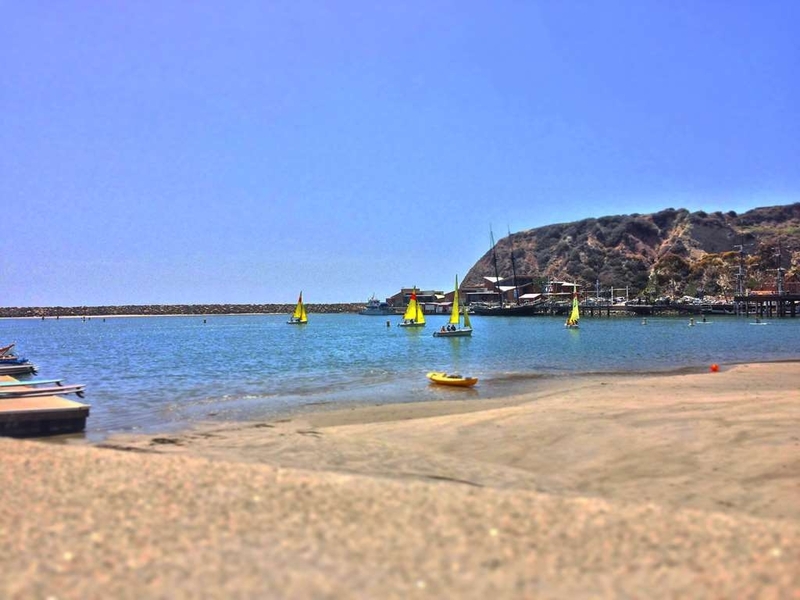 Beach is a short walk away and Dana Point activities are just down the street. Also, price is reasonable for the area, free continental, and staff are very friendly. "Best Western Plus Dana Point Inn-by-the-Sea"
Poor customer service from my primary contact at the sign-in desk. He was passive aggressive. Unable to get natural ventilation due to a lack of operable windows. Should not be labeled as a Plus Best Western. I have been staying at the Capitola by the Sea Best Western Plus in Capitola ever since it was built over 30 years ago. The Dana Point Best Western Plus is a flea bag in comparison. "Wonderful, relaxing stay and friendly staff." We stayed in room 201 and it was beautiful! It has a balcony towards the beach we enjoyed resting on and watching the water, and also a fireplace inside we enjoyed one evening. It had a very comfortable king size bed, cathedral ceilings, and a large bathroom. We were very pleased. There is a highway, train track and barrier between the hotel (and all the others along this section of highway) and the beach so not immediate access to the water but its easily visible and accessible. The staff was very attentive and gave us great suggestions for restaurants, beaches (favorite was Salt Creek Beach) and activities. The free breakfast buffet got us off to a great start and they served until 10:30 which was great for us (we slept in!). This hotel also had free parking, which was a great amenity. We'd definitely stop here again when we're in the area. "Okay if we did not have children"
I got this place for less because it was close to Christmas but, it really is not for kids. My son kind of got in trouble for touching a fountain in the lobby by some young man. Do not know if he was the owner or not. I did not know there was water on the outside of it so that was my fault. After that experience I do not check in with him anymore since I cannot watch what he is doing. Last Best Western at Oceanside has a huge fountain art piece but the water is not outside, the kids can touch it, and they had cookies so he was occupied. My room was not the cleanest for the price. There were fingerprints on everything. There were cigarette butts outside the balcony area. Our WIFI went out frequently. There were ants in the bathroom. I am a Best Western Rewards member so I stay at these hotels often. This one was the most expensive and not the best. The best experience was the sound of the waves. Guess that is what you are paying for. We had a great time with our stay in Dana Point. Our hotel experience was great. The owners were very attentive and friendly. Any time we saw them they would ask how we were and made sure we didn't need anything. They served breakfast until 1030 which is nice because you can sleep in and not have to worry about racing down there to eat. No problems or concerns the entire stay. We will stay there again. I love it when the people working at a hotel make me feel like I'm an old friend. I always get that when I call the Best Western in Capistrano Beach. They are always so accommodating and try to get me the best rate and the nicest room. We went to visit our son, who lives in San Clemente. The hotel was the ideal location for us. The room was very clean and spacious. We had an ocean view, with a patio and table and chairs. There was a hot breakfast every morning, along with muffins, cereal and other breakfast foods. Fernando or one of the other staff were more than happy to make waffles for breakfast. The staff was extremely accommodating, there was nothing that we asked for that was too much trouble. It was a very pleasant stay, we were there for a week. Free parking, free Wi-Fi. A small kitchen with a fridge and microwave. I would recommend this hotel and would definitely stay here again. Hotel is across the street from the beach and has decks to sit out and see the ocean. The hotel itself is very clean and the staff extremely friendly and helpful. Hot breakfast is a plus. Our second time there. We stayed for 2 days, 2 nights. We were not able to get there until well after the office closed, but Steve was VERY gracious and waited for us. Both Fernando and Steve were wonderful in making sure we were happy guests. We would definitely return. "Unobstructed views of ocean, spacious rooms, great price!" Thanks to other reviewers I booked this hotel. Pleasantly surprised at the room size and nice private deck. Pros: Excellent staff, large rooms, views of ocean, private deck, free parking, free breakfast, nice hot tub, mini kitchen, standard bathtub, large TV, safe area to walk along beach path, restaurants in walking distance, garden patios with water features are nice touch, pedestrian bridge to ocean a walk of 4 hotels away. Cons: noisy hwy between hotel and ocean (you can't hear any traffic with windows closed. This will be the case for any hotels on this dtreet.). No swimming pool, beach is not swimmable across street due to heavy waves, but great for sitting and watching. Limited underground parking. I would recommend and would stay here again. Very pleased!!! Hotel is on a very busy/noisy road with train tracks in front of the hotel. Couldn't even hear the waves on the beach with all the car/train noise. Don't spend the $$ for a first floor ocean view room with private balcony, it's not worth the $$. The customer service was excellent, the room is beautiful, and Dana Point is majestic. This is our second time staying at this Beat Western and we will continue to stay here anytime we are near by. I highly recommend this hotel in this city. "very rude staff no parking for large vehicles"
The staff was completely rude to my wife when she asked where she can park her excursion which is a stock vehicle. The parking lot at the site has a 6'2" height limit which this information was not made available to us until we arrived. The manager stated that we could use a dirt lot a half a mile away that is not best westerns property. NO LIGHTS NO SECURITY. The manager then stated that our vehicle 6'8" high would fit in their parking garage. The guy in front of us at the desk had a GMC truck that hit the ceiling of the garage. If they would have told us the height restrictions and the lack of parking we could have take a different vehicle. The manager made us feel like idiots because we did not want to drive our vehicle in the garage that was too low. Right across the street from the Pacific, the Best Western Dana Point Inn-by-the-Sea is both a great value and prime location for your Orange County, CA beach travel needs. The property is well taken care of, the rooms are modern with new furnishings and linens, and exceptionally clean. The breakfast bar is a plus as is the underground parking. Staff is super friendly and helpful. Be prepared however, the Surfliner train that runs the California coast does go by as the tracks run along the beach in front of the hotel. It is what it is, and if you can sleep through it, great. Otherwise, bring earplugs. "Highly Recommend This Charming Sea Side Gem." I normally don't leave reviews online, but this was definitely worth it. Family owned and operated, and the staff is willing to go the extra mile to ensure your stay is nothing short of excellent. I can sincerely say that all expectations were exceeded. Superior customer service, and and excellent hotel. Very charming and tranquil. Clean rooms with updated modern decor. Would absolutely recommend. Excellent value. "Best hotel for the price in Dana point"
My girlfriend and I arrived late at night after a very long and Tiring day to be greeted by professional and helpful staff. Check in was very quick and all of our questions about the area and any of our other concerns were addressed in a curteous manner. Our room was even upgraded for free. Best Western plus in Dana point will have my business should I ever return. The hotel was excellent with friendly and very helpful staff. Room was good and included a balcony. Although it faced the Pacific Coast Highway, the room was well insulated and road noise could not be heard. A worthwhile stay. Access to the beach was nearby. We had an awesome stay. We arrived early and they were able to accommodate us. The hotel is a great value and very well maintained. I would highly recommend it. The staff is always helpful and go out of their way for you. We really liked this hotel. It's across the street from the beach (the beach is cut off from pretty much all hotels and homes, etc. 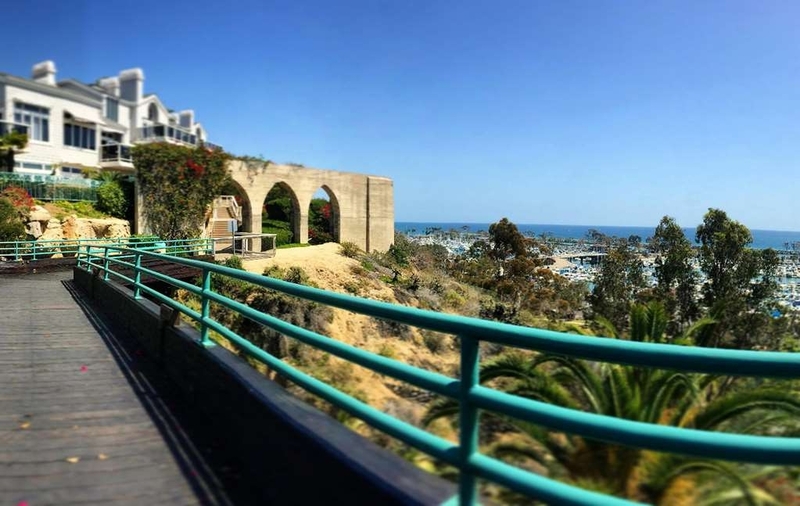 by Hwy.1 - pedestrians use a pedestrian bridge) so the location in Dana Point is great. 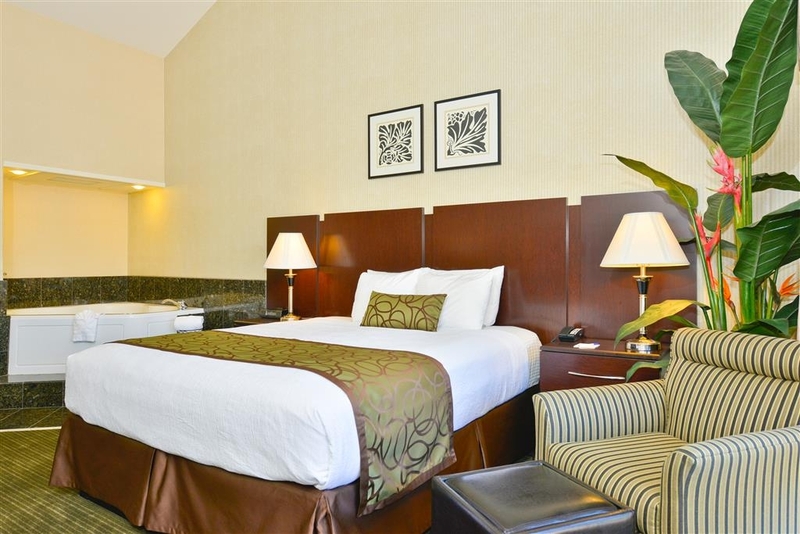 The rooms are very spacious and the customer service is excellent. They offer bikes (2) for their customers. I would definitely stay here again. "Great Place to Stay At!" I came here on a trip with my family for a couple of days. The service was great, from the moment we got there until the time we checked out. Staff was friendly and accommodated us with whatever we asked for. Rooms were clean and staff consistently brought us fresh towels. I enjoyed my stay and would definitely stay here again when I'm in the area. Friendly, helpful staff and spotlessly clean rooms. Beds are so comfy. The rooms are set in a plant filled courtyard with views of the ocean. I left my tennis shoes and got a phone call while I was still in the area and could pick them up. NOW that is service! My husband and I stayed at the Best Western at Dana Point to escape all the spring breakers. Pleasantly surprisingly we did. Great area! Hotel accommodations were ok. We paid for the "premium" king room facing the ocean. Lots of noise from the Pacific highway right in front and the continuous train passing through. The room and linens were a little dated and worn. We did not want any service during our 4 days but when we went to exchange dirty towels for clean I was amazed that the cleaning carts were an absolute mess which made me wonder how clean was our room? The gentlemen that checked us in and out was very nice and happy to be there to answer all our questions. Overall experience was superb, quaint, relaxing, and satisfying to the all sense. The grounds were well manicured with beautiful flowers and gentle music throughout. Loved it. Steven at the front desk was more than accommodating and had a welcome smile and attitude. Thank you for the pleasant stay and kindness. My family and I highly recommend staying at this Best Western! 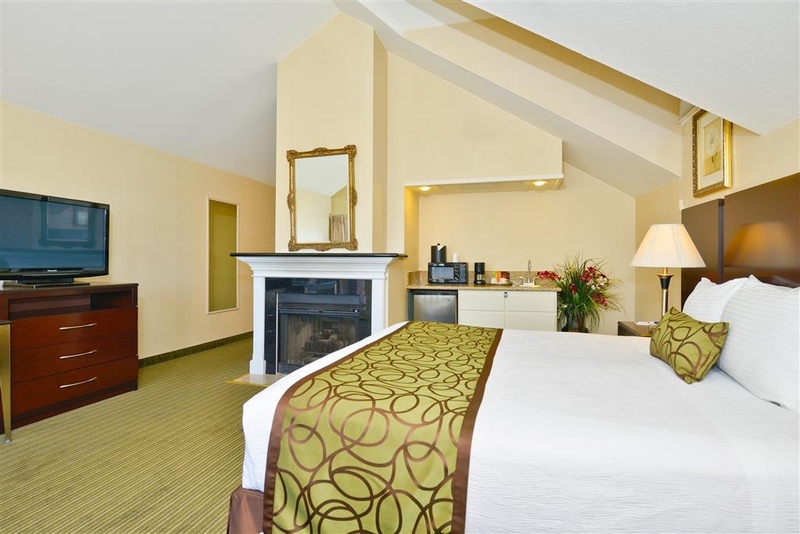 Location is perfect, the rooms are nice, and the staff is welcoming and wonderful! It is close by the beach and the Inn feels like another home. There are also nice restaurants nearby. "Great Ocean View & Service"
The hotel staff is exceptional creating a wonderful atmosphere for a relaxing weekend. Loved the Mexican restaurant within walking distance and going down PCH to San Clemente for Italian food and a walk on the pier. Thank you! For a March(Spring) Break mini vacation, I scrutinized all available hotels in the south orang county area for at least a week. My prerequisites..free parking, ocean front view, free breakfast....could have stayed in a fancier inland hotel, I wanted to hear the ocean before I went to bed, and when I woke up...After hours of tribulation, I settled up the Best Western Inn by the Sea in Dana Point..its located just south of Dana Point in a very quiet stretch of the PCH...Pricing all around was exorbitant as it was Spring Break...so I but the bullet and trudged on..trying to find the best value... I found it...all what I wanted for he left amount of money... arrived very late ( early) at 2 am, was welcomed by Steve..the next 5 days were nothing but exquisite in terms of amenities and service..any extra requests were met with a " no problem, my pleasure" attitude and needless to say we ( family) really enjoyed our stay... The room was very well appointed, clean and I'd rate at a 4 Star..Just what we wanted...and the fact that the pacific is about 300 ft away gave me the peace of hearing the ocean morning and night..delightful beach to walk on, or jog on as many locals do every morning...so close to dana point harbour ( a 2 minute drive) and all theOC activities we want dot experience. When going away from home, i personally seek an accommodating home base for the duration of my stay, BW in by the sea afforded me that comfort, I felt I was at home, even though only spent 10PM-8 Am there...The staff was nothing less than hospitable..I felt I was at Steve's house for the week.. I've been down that way 20 or so times..first time I stayed there...and not certainly the last ..my new go to place one Orange County! Just stayed a night while passing thru Dana Point. A clean hotel well run by a friendly, professional staff. Within a few minutes drive of some nice beaches and very good restaurants. Reasonably priced for the area. "Quiet by the ocean "
Excellent getaway! Off of pch 1and across from the ocean. They were very accommodating as well as super helpful. Within walking distance from several local favorites. 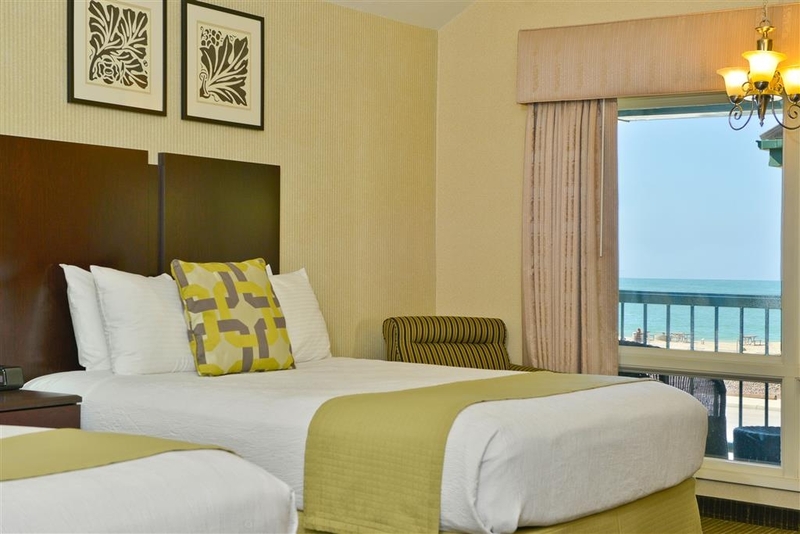 The beds are comfortable amd with the ocean within view, it made for a good night's sleep. My husband booked an overnight stay for a quick getaway. At the outset, the customer service was spot on, with polite and accommodating service from Stephen after a misunderstanding of the room rate. We arrived in the afternoon. There was underground parking and elevators, stairs, and ramps that lead to the office. There is a garden setting with mellow piped in music that was a nice touch. 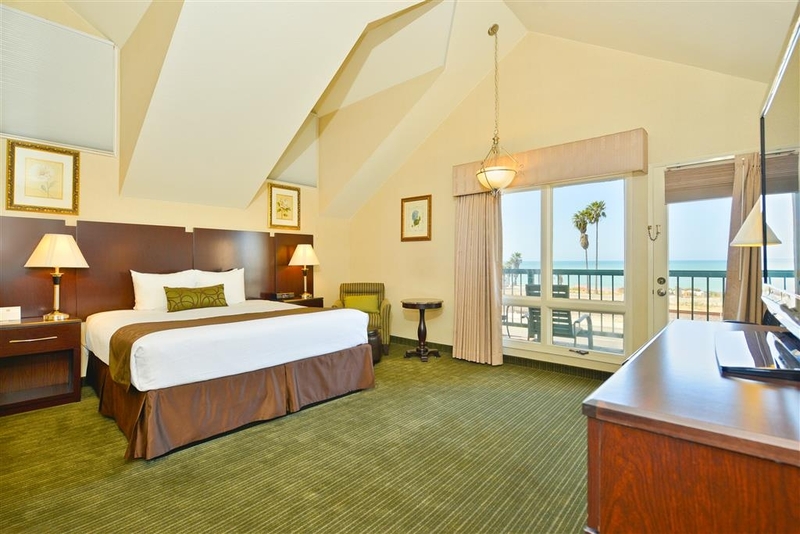 Our room was on the second floor facing PCH - flat screen television, coffeemaker, microwave, refrigerator and balcony. The bed was VERY comfortable with plenty of pillows. The Bummer: PCH is heavily traveled. Can't really enjoy the balcony due to the noise. With the windows closed it was not a problem. Once it got much later in the evening were we able to open the window in order to hear the ocean.There is an 8-man Jacuzzi in a small patio out front. It seemed a bit small for 8 people, but I was the only one who took advantage so I had it to myself. It was clean, just the right temp and powerful jets. There is a large patio available overlooking the ocean with tables and chairs. Beverage vending machines were spotted throughout the property. The hotel is walking distance from a pedestrian bridge to the beach. The beach directly in front of the hotel is either a municipal or state beach and only had pit toilets. Walk a bit south and the beach is cleaner with flush toilets and a basketball court. This area may be owned by the residential community directly to the south but we saw no signage prohibiting the public the use of this shoreline. The hotel is also walking distance to a couple of restaurants. We had dinner at Agostino's and it was a very nice meal. Breakfast is included and adequate - scrambled eggs, sausage, waffles, bread, sweet breads, bagels, variety of cold cereals, coffees and teas. The area is kept clean and Fernando was attentive to our needs. I would recommend this hotel for short stays if you are in the area for an event or a quick weekend getaway but not for a long-term destination unless you know you will be out and about more than not. 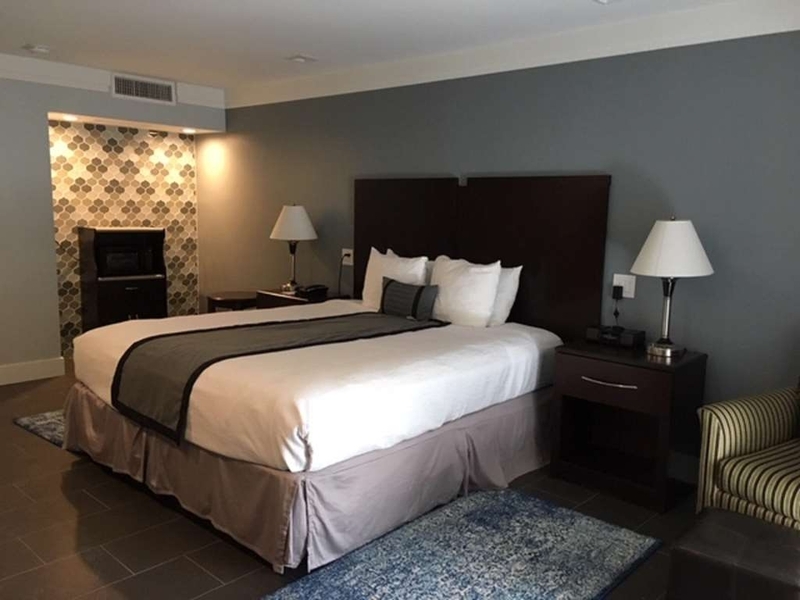 "Comfortable stay with affordable prices when other area hotels skyrocket"
I typically stay in the Marina Shores location when in Dana Point for business, but this time I stayed in the Inn-by-the-Sea. Over all, the family owned staff were very attentive to my needs. The blanket was very thin, but Steve was very quick to send up extra blankets as I like to sleep warm. The rooms are a bit dated but clean, and odourless. The views are ok, but those who are sensitive to noise will hear freight trains going by occasionally. I especially like the fact that they have EVSE chargers for Teslas and other electric cars. I stayed on the 3rd floor. The staff was awesome! Traffic noise of PCH was loud at times. Difficult to cross street to get to beach. The breakfast was lacking choices and the same food was served every day. I would recommend one night but not more than that...there are a lot of other nice looking hotels nearby. 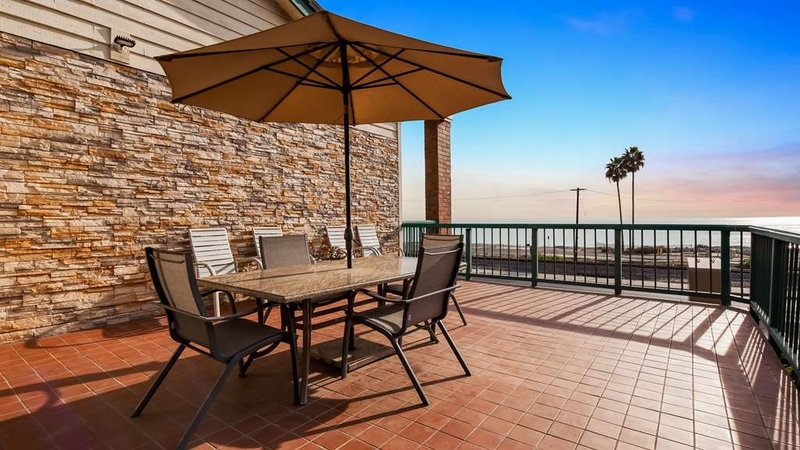 "Nice Place-Great Location and View"
Great place if you are looking for a simple place to stay in the Dana Point/San Clemente area. Great location, walk down the road a smidge, up across the pedestrian bridge you are on the beach! It is clean, the owners and workers are very kind and friendly. Just don't expect a lot of extras, no pool, no business center, no AC, but windows open for the ocean breeze. Beautiful gardens, can sit on the deck and look out at the ocean. Easy drive to San Clemente, Dana Point marina, even Laguna Beach isn't far. The breakfast is fine and serves the purpose. The location, views, staff are all A+. Won't stay anywhere else when in Orange County. The layout of the property is quite unique. The patio is a great place to watch the sunset over the ocean. Convenient to food, shopping, etc. 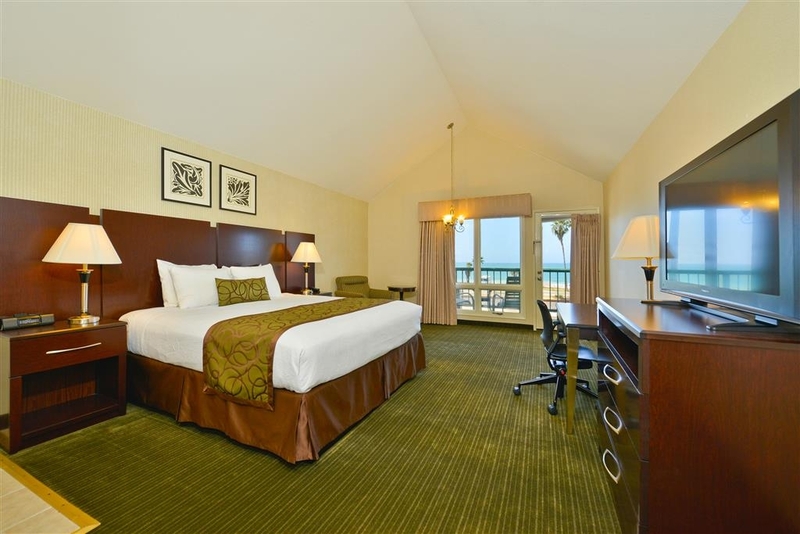 "Best western Dana Point California"
Great location, great ocean view, wonderful staff! Breakfast was great. Wonderful places to have lunch or dinner within walking distance. Would absolutely stay here again. Beach just across the street. The Hotel grounds were clean and decorative reflecting the beach environment. We stayed in a beautiful room with a fireplace. Great to enjoy a rainy weekend by the beach with a warm fire to enjoy after a long walk during a break in the storm. We enjoy our retreats at the Dana Point Inn-by-the-Sea. Very comfortable. A short walk to several good restaurants, including Olamendi's, a Mexican place with great food and festive atmosphere. We didn't have to get in the car during our stay since there were restaurants so close. We stayed at the Dana Point Inn-by-the-Sea on a blustery, rainy weekend. Maybe not the ideal for a stay near the ocean. But we had a wonderful time walking on the beach during breaks from the rain, enjoying the ocean view from our balcony, and warming up again by the fireplace in our room. It was a pleasure to just relax on a quiet beach weekend. The hotel is next to the Amtrak tracks. However, we slept well and didn't notice it. We enjoyed dinner within a short walk at Olamendi's, which has great Mexican food. We enjoyed 3 Nights in an ocean view suite. We spent long days exploring the sights & history of the area and felt so thankful to have this hotel to call home in the evenings. The sunset views from our rooms private balcony were spectacular. 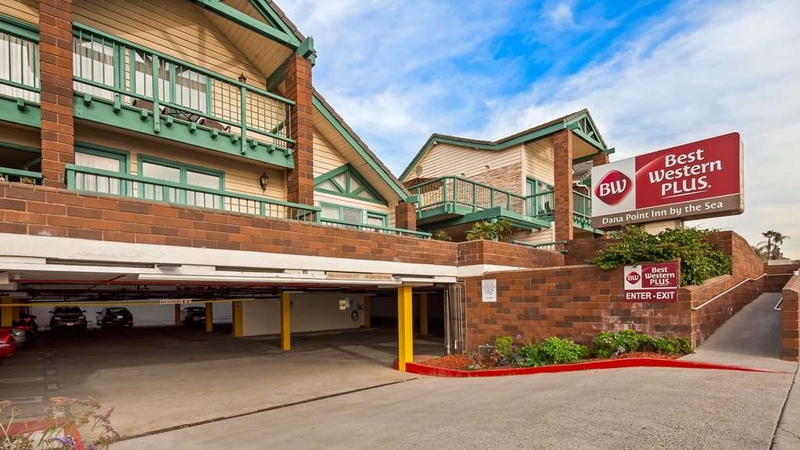 Parking was limited and challenging but conveniently located in a parking garage under the hotel property. Highly attentive, friendly, professional staff. 'pride of ownership' comes to mind. simple, tasteful decor. beautifully kept gardens with light music playing. clean rooms. help readily available. great location. my friend and i think we'll make it a 'meet-in-the-middle' spot for us again. very nice. "Very helpful staff and clean"
Enjoyed my brief stay here. The gentleman who checked me in and out helped me with my bags from my car and back to my car. I was on my own and recovering from wrist surgery. He was very kind. It was a clean and comfortable room. 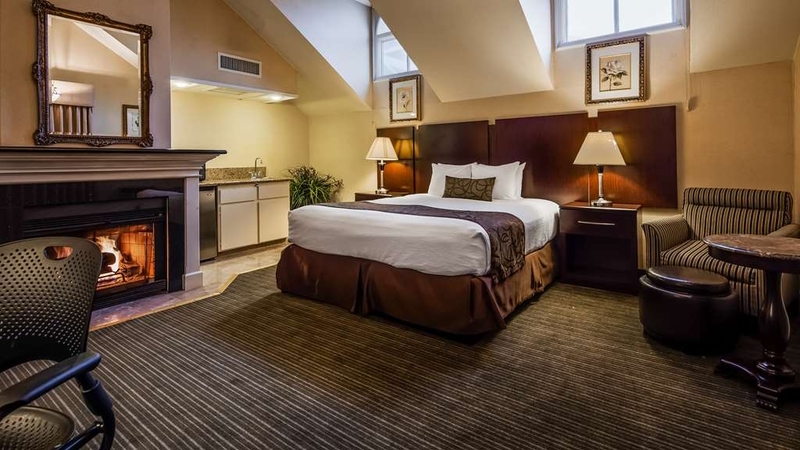 This hotel is reasonable priced and is quiet, clean, and comfortable. The hot breakfasts are really good. It is just across the street from the beach and you can sit on the terrace and watch the ocean. Walking distance to the beach and local restaurants. Staff was very friendly and helpful. We will definitely come back again and are happy to recommend this location to family and friends. Perfect place for a quick get-away! "First class service and great location..."
The Inn by the Sea is an obvious choice for staying at the beach. It's located directly across the street from the expansive beachy shoreline, but the room and service is why I'm reviewing the inn. We arrived with special circumstances and the hotel manager and staff were more than accommodating. They took care of everything to help us enjoy our stay. The room was perfect: roomy, nice cathedral ceilings on the top floor room, beautiful deck looking out at the ocean. 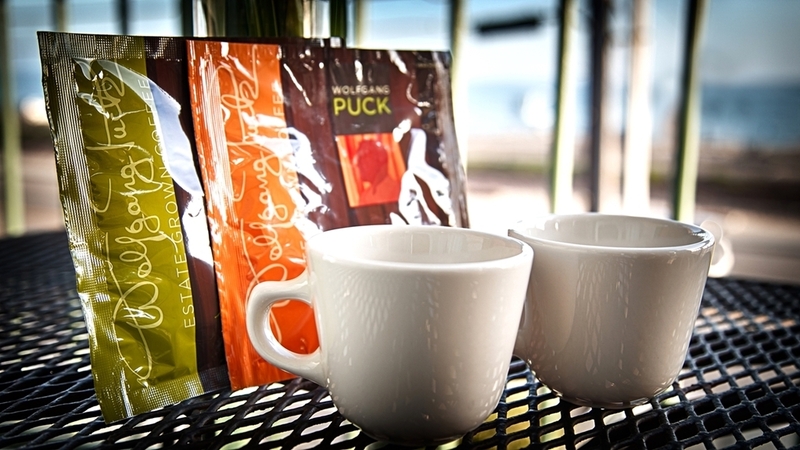 The common grounds include locations to lounge and enjoy the weather and view. We will be back and thank you again. Cute little hotel with very friendly staff! Although the parking spaces aren't huge, it was free parking, which was delightful. Most of the other hotels in Dana Point charges for parking. It is located in an easy walking distance to a few restaurants, but isn't in the hub of Dana Point activity. You need to cross a bridge to access the beach, but it's worth it since the parking at the hotel is free. I enjoyed a lot my 2 nights here. Wonderful staff and very nice room! Breakfast was very good too. The outdoor jacuzzi was great. The beach is within a short walk (across the highway). There is a terrace on the 2nd floor with a large table where you can eat outside or have a cup of coffee while you enjoy the view. We stayed 3 nights and Betsy was a gem. She kindly upgraded us to the best room she had for our midweek stay when she had light reservations. 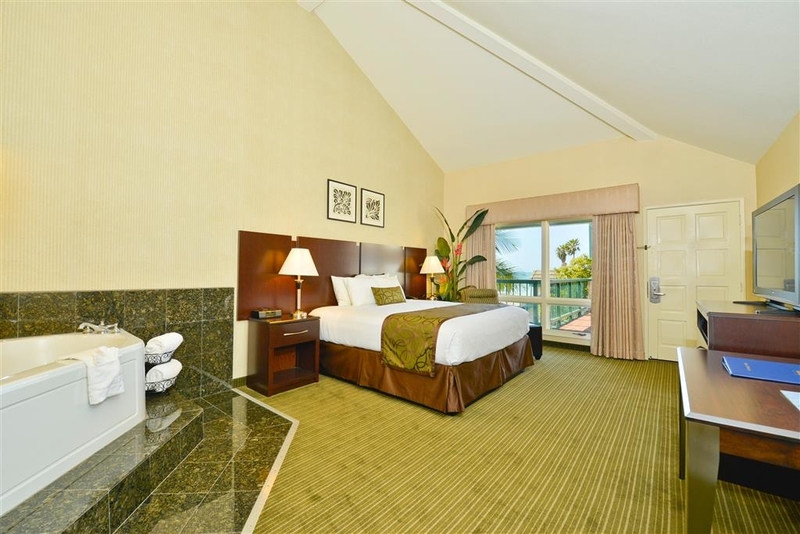 Room #202 has fantastic views of Doheney Beach and the Pacific Ocean from the private balcony. The vaulted ceiling and kitchenette area really added to the charm of this well-appointed room. The location means you'll hear some PCH traffic and the Amtrak, but honestly we slept so well here, it was hardly noticeable. "The Old Un in Dana Point"
Enjoyed our one night stay! Wonderful staff and very nice room! 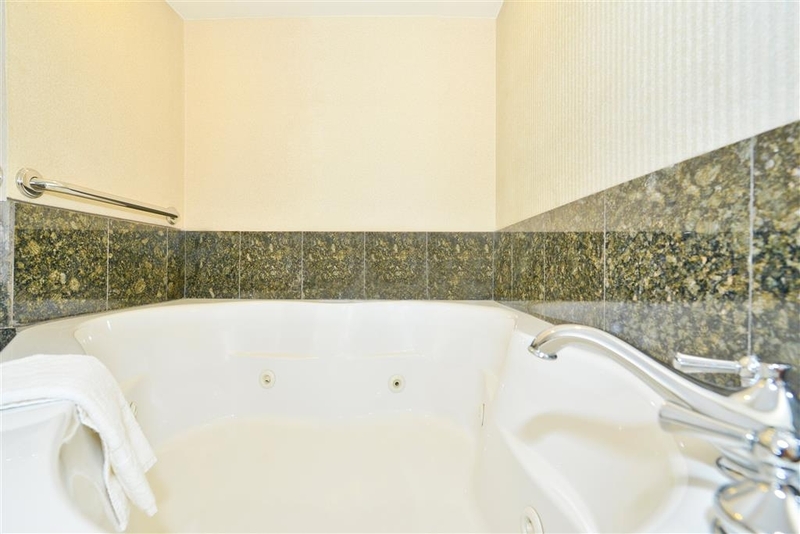 Walking distance to restaurants and even has a little jacuzzi. Would definitely return. Just be prepared for the trains at night since the train tracks are right across the street. "Convenient location, helpful staff. Freeway and muzak noise." Very helpful management. Great location -- near Ocean Institute if kids are on an overnight from school. Was able to work using well-working in-room WiFi. Did have to go to coffee place to escape the Muzak that I think is there to cover freeway noise, but was still quite loud from inside my room. "4 day weekend visiting family"
would stay here again. Proprieters were friendly and accommodating. Location and view were awesome. The breakfast provided was simple but good. There were several good restaurants all within walking distance. Stayed here prior to catching ferry to Catalina. Adorable hotel. Well maintained property. Owners very nice. Overall great experience. Plenty of places to eat within walking distance Perfect place to stay if you need somewhere to stay close to the beach which is across the street and to Dana Point Harbor. "Solid 2.5 star hotel, not so sure about 'PLUS'"
We booked based on reviews. The rooms are fairly updated, quite clean, great TV. The front desk staff were nice. Outside areas of hotel are pretty worn looking & the 'breakfast' room is the smallest I've ever seen! Disappointing food. We've stayed in several BEST WESTERN PLUS hotels and I'm not sure what the criteria is, but this is not a PLUS in my opinion. Fernando and his team are most accommodating. I always look forward to staying at this Best Western plus by the sea. I love the made-to-order waffles and of course the ocean views. And if you've forgotten something the host will do his best to supply what you need. Simply outstanding! "BEST EVER! LOVED our Stay! Staff so FRIENDLY! GREAT Location!" 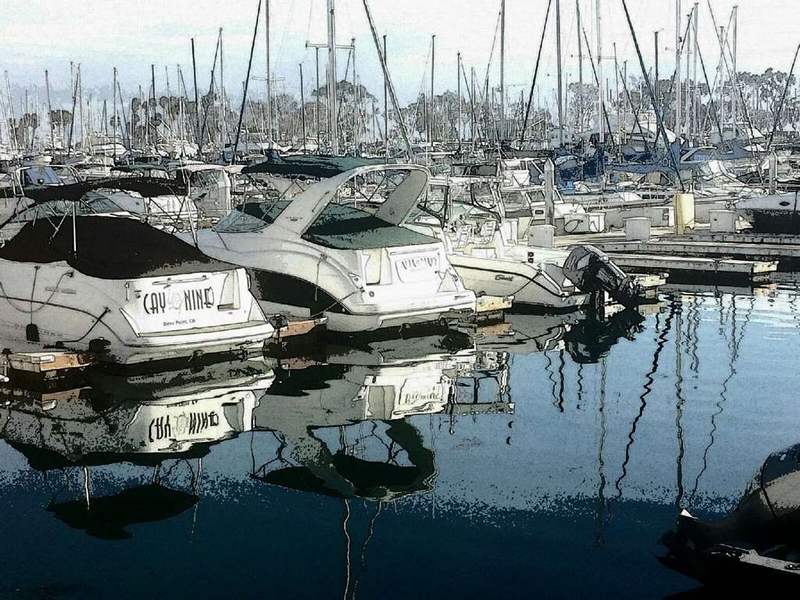 "Fabulous staff in a great location"
Serving as the launching pad for a multi-night trip to Catalina, the Best Western Plus Dana Point Inn-by-the-Sea offered far more than expected with excellent service from a professional (and likeable) staff. The breakfast was hot and filling. The room was comfortable and clean, and after we left, someone called to let us know that we'd forgotten a charger. (It was set aside and held for our return back to mainland.) In every encounter, the staff seemed to go above and beyond. I would definitely stay here again. We stayed one night on our way up the coast. We had a partial view of ocean, which was right across the street. Joined other residents on second story terrace to watch sunset. Lovely experience. Close to Dana Point restaurants for dinner. Good breakfast and WiFi. Owners were more than accommodating. Highy recommend. I have to start out by saying I did not head to this hotel in a good frame of mind. I had to gotten it through Hotwire and found that I paid more through Hotwire for a "Hot-Deal" than I would have if I had called the hotel directly. Needless to say, I am done with Hotwire. That said, let me tell you a little bit about the Dana Point Inn-by-the-Sea. It is an older property that has been very well-maintained. There are about 30 rooms which are comfortable and generally quiet. It is right across the street from the Dana Point Beach, but also the railroad tracks for the California Coaster. Our room was quite dim, but it was very comfortable and the bed was decent. There was a small breakfast buffet every day, and the staff was very nice and helpful. The best thing about this hotel is its location, location, location! We were able to visit San Clemente, Dana Point, San Juan Capistrano, and Laguna Beach. All of these places were within a 20 minute drive of the hotel. It is also within walking distance to a nice sports bar, and at least three local restaurants. I am sure it is a hopping location during the summer months. I would have rated it at 3 1/2 stars if that option was available on trip advisor. It is a good value for the price. I will be going back again soon. "Fabulous views, Tranquil setting, Extraordinary staff"
Step out of your room, and you hear lovely, tranquil music as you view the beautiful garden, and the ocean. Sit on the balcony or in the hot tub and watch the sunset. This place is amazing and quite a value. 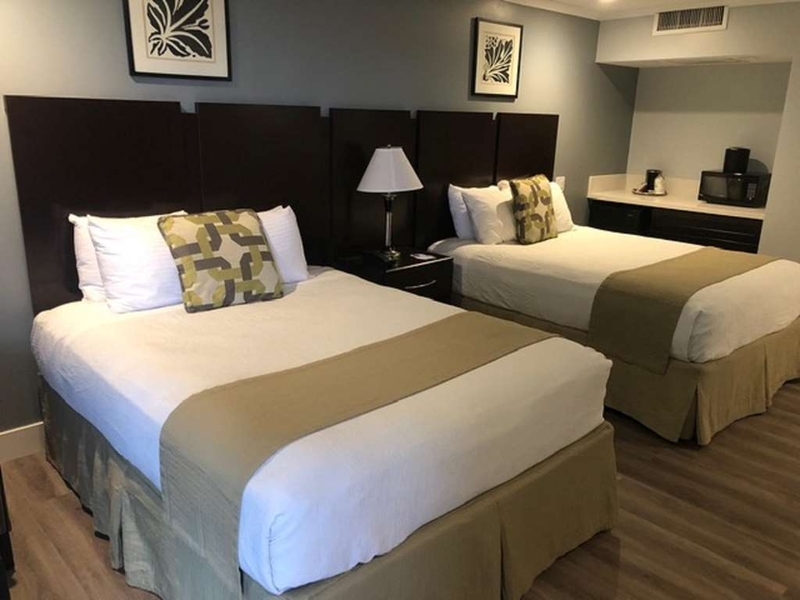 Not too far from town, great restaurants within walking distance, the beach across the PCH, The staff was extremely friendly and helpful, the rooms large and comfortable. Looking forward to next visit. Wow- the service here has been incredible. The couple at the front desk are so nice and helpful. We are traveling with a toddler and a baby and they offered to help us make waffles since our hands were full. They also asked when we preferred housekeeping! The place is clean and has a really nice vibe. And the location is awesome! Rooms are clean and well stocked. wonderful hotel, great views, lovely music in the courtyard, spacious rooms, friendly staff. How many times can you sit in a hot tub next to the PCH and watch the sunset into the ocean? This is where to go if you want to completely unwind and relax. Great restaurants and beach within walking distance. "Awesome stay, quiet, comfortable, great location!" Just what we needed on our trip along the coast! Great room (ask for 303 for the best view of the ocean), bed was super comfy, and the hotel is tucked away from city noise (but only a 2 min drive along the beautiful coast). Beach is right across the street and there are a few restaurants two doors down. Good for couples, good for business trips (we were on both). Special thanks to Steve who checked us in and offered excellent, professional and friendly service. Happy to highly recommend this spot...We will definitely be back! :D Couple from Auckland New Zealand. I had business in Irvine but wanted to be by the ocean. I searched and found this hotel for around the same rate as a room near the business I was in the area for. I thought from the map that this place was a block or so from the ocean. When I arrived I was very pleasantly surprised to find that the hotel was only separated from Capistrano beach by the Pacific Coast Highway. You need only to walk out onto the balcony to enjoy a magnificent view of the sunset. My room was clean, quiet and well kept. Beds were comfortable and plenty of pillows. Parking is included, safe and covered. The staff are friendly and helpful. Standard continental breakfast fare is served in the morning. All things considered, I found this hotel to be an outstanding value for the money. There are three great restaurants within a very short walk. One Mexican, one Sushi and a bar and grill. "Beautiful courtyard and ocean views"
I was very pleasantly surprised by this hotel. The staff was incredibly friendly, even turning on the heart for me in my room before my arrival because it was chilly that night. They courtyard was beautifully decorated for the holidays. Free parking in this area was a pleasant surprise, as well. Rooms were basic, but clean. "Great Place to Stay for a Night!" We stayed here the day after Thanksgiving. It was a nice place to stay! A 2 minute walk away, there's a few restaurants and a sushi place that was delicious. Our room had a hot tub in it. It was kinda weird and had dead ants in it. We didn't use it, except to wash the sand off from the beach (which is across the street). There were 2 picture frames hung above the bed. I went to sit on the edge of the bed when we first walked into the room and the picture frame fell. Thank God I wasn't sleeping or there wasn't an earthquake because my face would've probably been a mess if that had fallen on me! It was a comfy bed and the front desk was very helpful and nice! I would stay here again, but I would remove the picture frames for my peace of mind while sleeping. Our room had a partial ocean view. You're right on PCH but you really can't hear the street noise once w/ the windows and doors closed. Excellent staff. Well maintained. Great price for water view, free parking, and free breakfast. "Friendly staff goes out of way." We have stayed here several times before. Thus far every room is a tiny bit different as far as size/view. This time we were in room 301 which is top floor end unit with partial ocean view. Room was very spacious with a king bed, refrigerator, microwave and coffee pot. We also had a window in the back with a view of the green hill. Our room had a jacuzzi in the bedroom plus a tub/shower in the bathroom. I will not use a hotel jacuzzi so would have much preferred a fireplace. While the front rooms have better views of the ocean, we preferred this one because it was quiet. While we did not have our "own" balcony, we did use the large balcony just across our walkway. Basic room. Helpful staff. You're average hotel. We only stopped to be close to Dana Point in order to catch the ferry to Catalina Island. Very convenient to that. The hot tub is right on the highway-I'm sure for the ocean view but it was noisy and awkward. The roof top would've been better. The hotel served is purpose. Great service by Manager, Steve Wong. Super location right across the street from Capistrano Beach. There was a wedding party taking up most of the hotel, but they were well controlled by the staff, with no noise at all to disturb our sleep. "Trip to So. Cal. for grandaughter'r birthday"
We stay at this hotel every year to visit our daughter and granddaughter. The staff is always friendly and we get the same room every time. The view is wonderful and we get to see the sunset every night. We will definitely stay here again next year! "Pleasant Place to Spend a few days"
A nice place close to the ocean which was the main draw for our stay. Pleasant staff. Adequate rooming accommodations. Not a new hotel but has been kept neat and clean. Breakfast room is small but seating was available during the time we were enjoying breakfast. Not a large choice for breakfast..
We had a really great stay at this Best Western. The staff were extremely kind and helpful, the complimentary breakfast was better than most I've had, and it's right across from the ocean. We were able to walk to dinner and enjoy the hot tub after. Will definitely be coming back if the opportunity arises! Extremely clean, Staff very friendly and accommodating. Love the size and décor of the rooms. Breakfast was above the normal complimentary breakfast. Will continue to stay here on my trips to area!!! Would recommend to family and friends in a heartbeat! "Dana Pt. Inn by the Sea"
Had a very pleasant stay at this Best Western property. Right across the highway from Doheny Beach and right next to a couple of restaurants. Only thing lacking was a good spot nearby for coffee. Breakfast tip: Stacks in downtown Dana Pt. "One of the best hotels we've stayed at near the beach"
We usually stay at Holiday Inn Express as we are platinum members, but we had good luck with another Best Western Plus, so decided to give this a try. It's right across from the beach and train tracks, but the train noise was NOT an issue EVER! My husband is a train buff, so we enjoyed sitting out side on our balcony over looking the beach. It was very quiet and the rooms were great. Clean, modern, bed very comfortable, and had micro, frig, and coffee maker. Bath was nice sized. Both receptionist and owner were very very helpful for anything we needed, made great recommendations, and treated us great. We will make it a point to stay here if we are ever in the area again. We were in room #202 and it was fantastic!!!! This is an older property but it is clean and comfortable. It would be nice if they added additional vending machines and ice machines. The lighting is dim and the internet isn't the best but the staff does a nice job and the view is beautiful. We would stay here again. "The most memorable vacation we had :)"
We had planned a trip to Southern California to visit family and friends. I must say that or stay in Dana Point at the Best Western Plus Dana Point Inn-by-the-Sea was our most pleasurable. It is located directly across the highway from the Pacific Ocean in Dana Point. The sunrises and sunsets were lovely! The manager of the hotel was such a friendly and considerate host. Every morning, he would make waffles for each one of the guests. You didn't have to wait or ask him. He came to you and asked if you would like a waffle, then start making it for you! They keep the breakfast bar stocked with everything you would need! The manager even got us a map and helped us plan our trip beyond Dana Point. I think that is going above and beyond for your customer's needs! 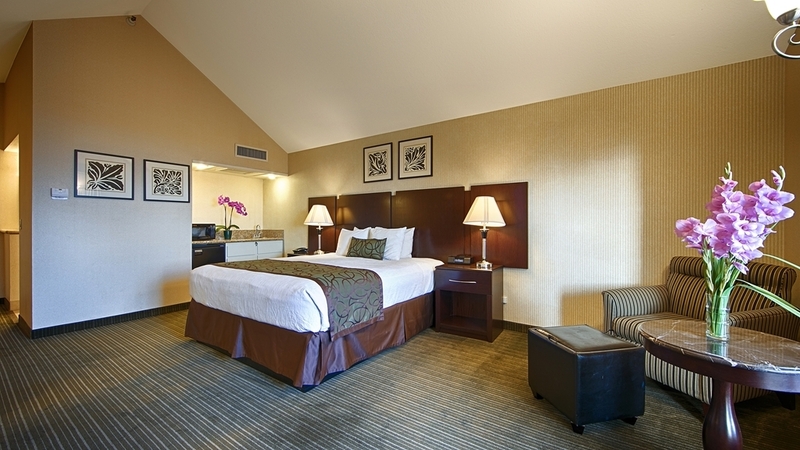 We would highly recommend this hotel if you are going to be visiting the Orange County Coast. 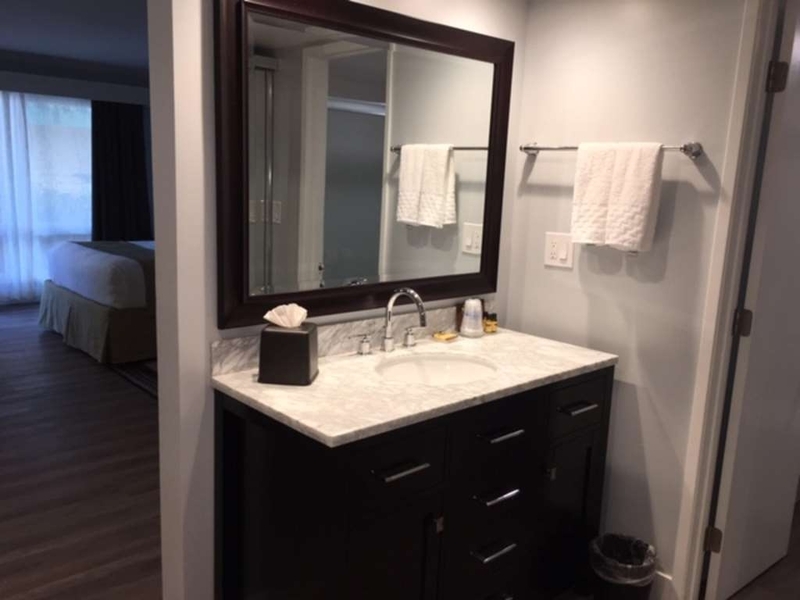 It was not only lovely and clean, but it was also very reasonably priced! Who could ask for anything more! "Outstanding Value in Dana Point"
Outstanding value in Dana Point - right across from the beach with easy access to the business district and freeways. Friendly and professinal staff - Mr. Fernando Wang should be recognized for his great customer service. "Dana Point Inn by the Sea"
Nice family run hotel. Across from the ocean and the train tracks.The hotel is located on a busy street but the views of the ocean are so beautiful. The rooms are a little musty smelling, other then that we had a wonderful and relaxing time. The waffles in the morning were very good. Would recommend. "Great Family operated hotel right on the Ocean"
Every service was as or above expected. Friendly, courteous front desk staff. Nice clean room with panoramic ocean view. We stayed (2) nights just to get away. Inn is easy to find, free parking was ample and adequately protected (under hotel). Free Wifi worked well and was simple to logon. Breakfast was ready and decent. 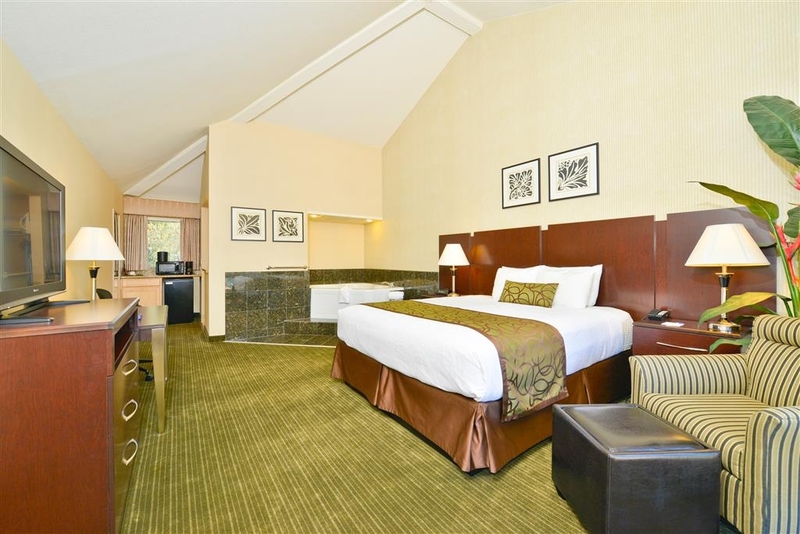 Hotel is near the over-the-highway walking bridge that takes you to Doheney State beach. Several restaurants, very close to hotel. Sunset views from balcony were just the ticket! Affordable rate with good value. "Good Location on Rote but noisy"
We stayed at Dana Point as a midway point between Santa Monica and San Diego on our PCH roadtrip. Room was a bit noisy with the road and trainline, but it was comfortable and service was very good. Good parking lot below hotel and breakfast was good. We stayed at this hotel during our trip for a wedding in Laguna Beach, and it was great! This place was so quaint and private! We felt like we were there by ourselves! The staff was so friendly, and the morning breakfast that they offer was better then other little hotels we have stayed at! The owner even offered to make me waffles! This little place is on the ocean, and was very reasonably priced! We will definitely stay here again!